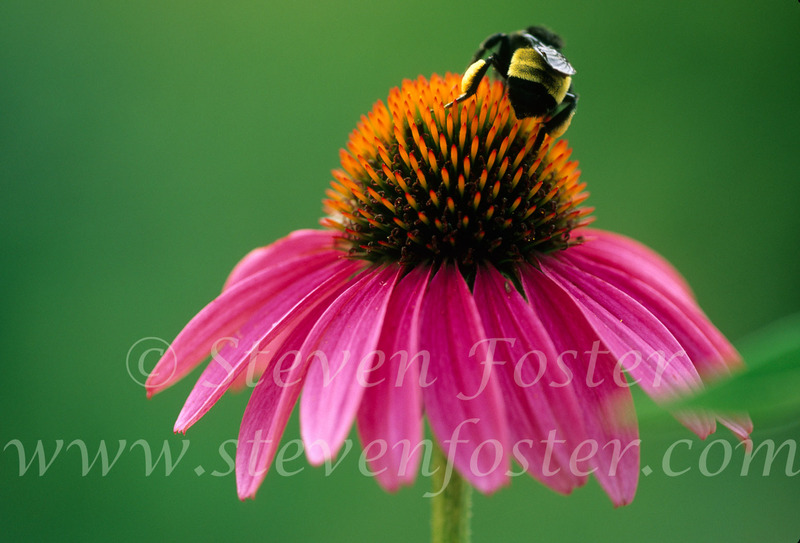 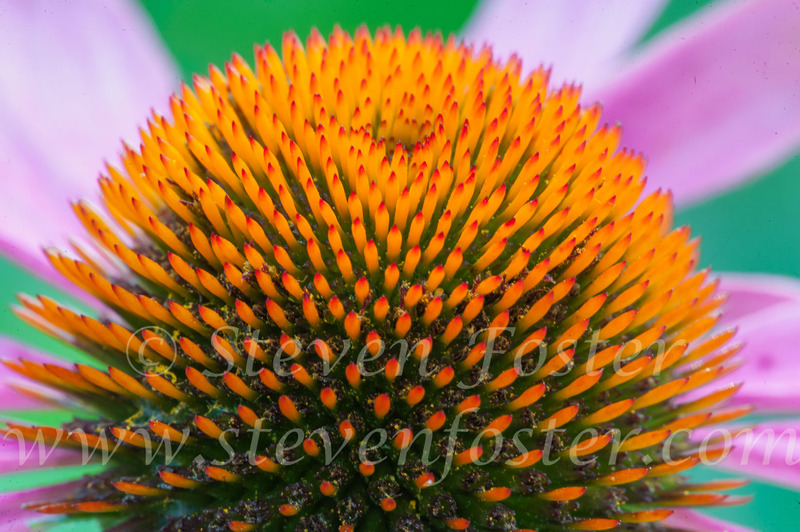 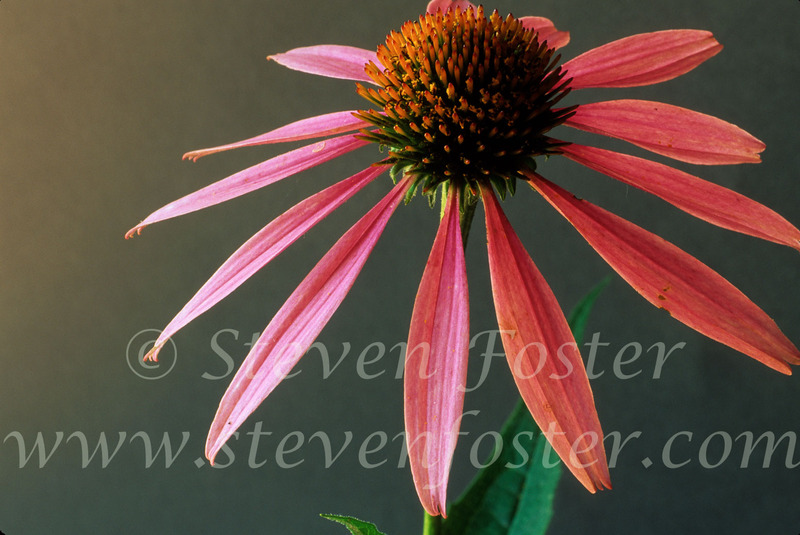 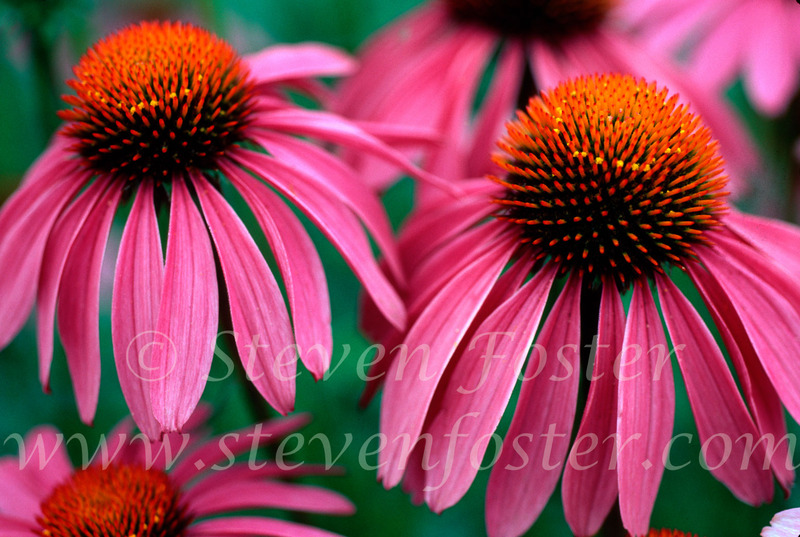 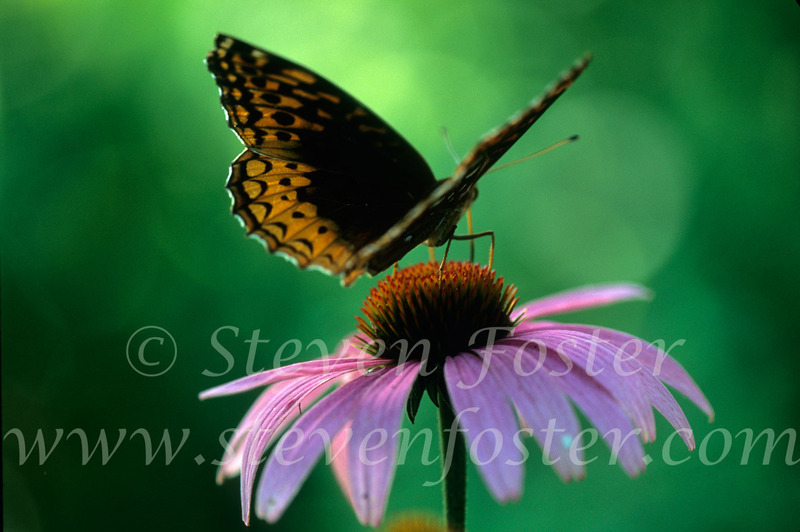 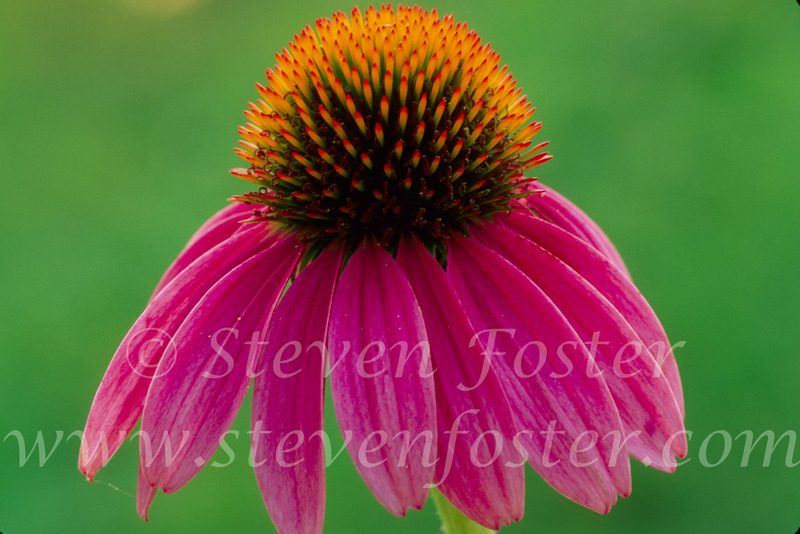 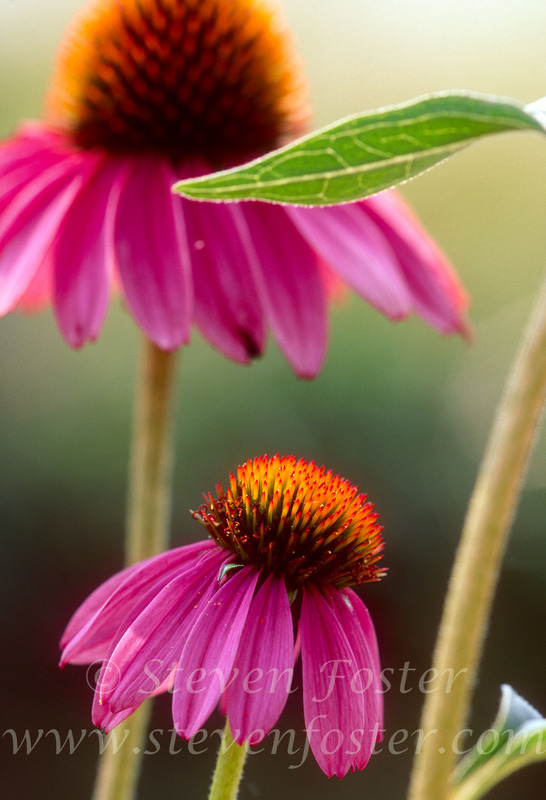 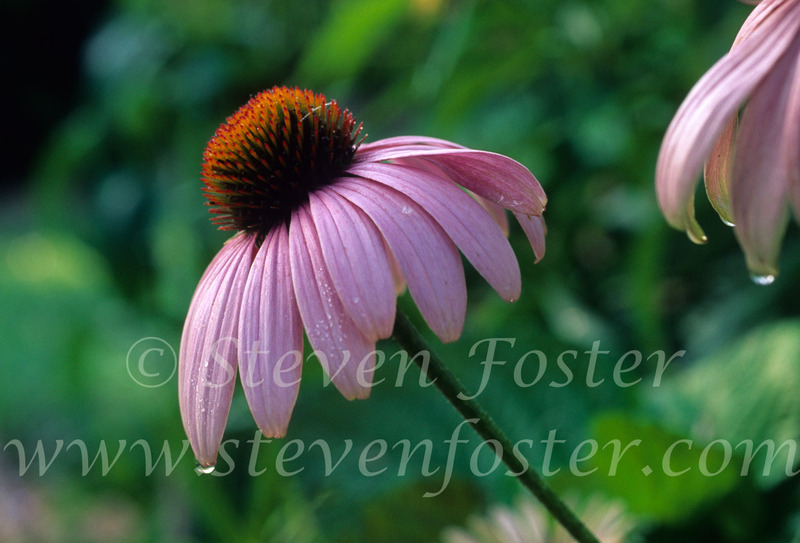 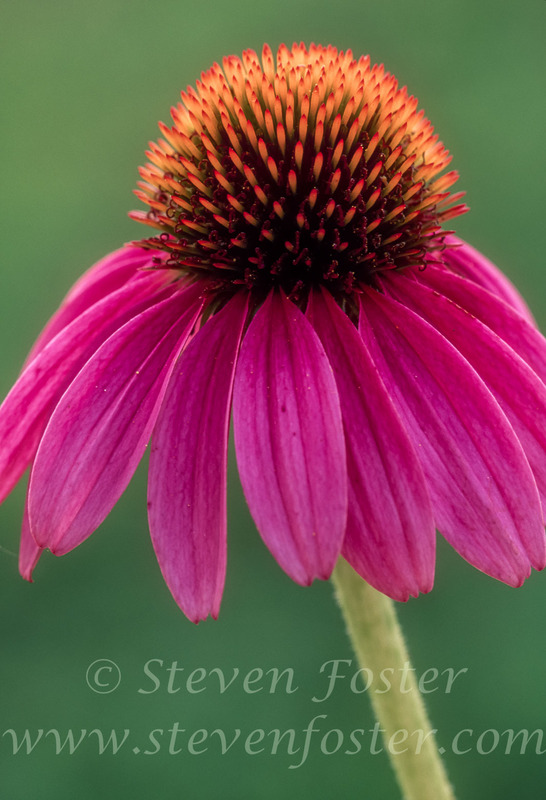 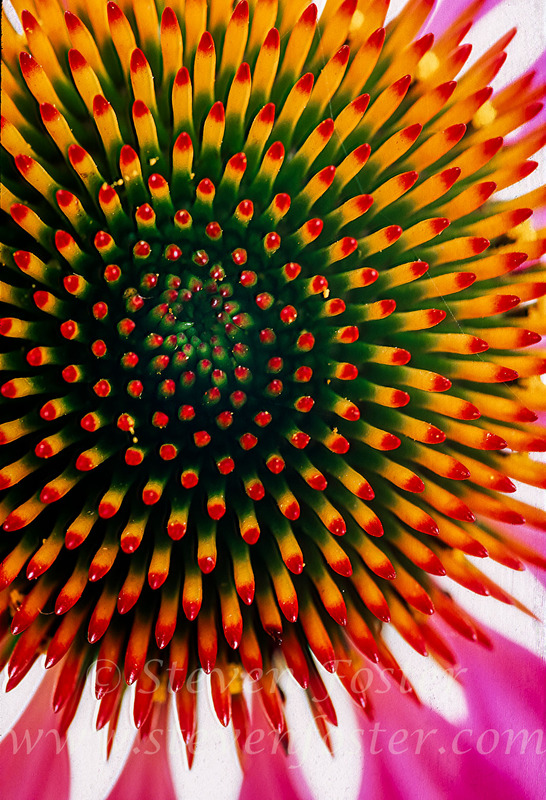 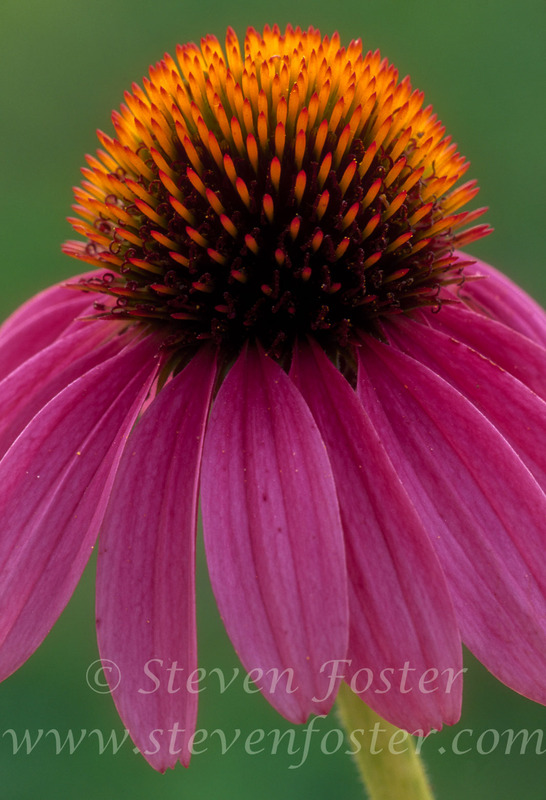 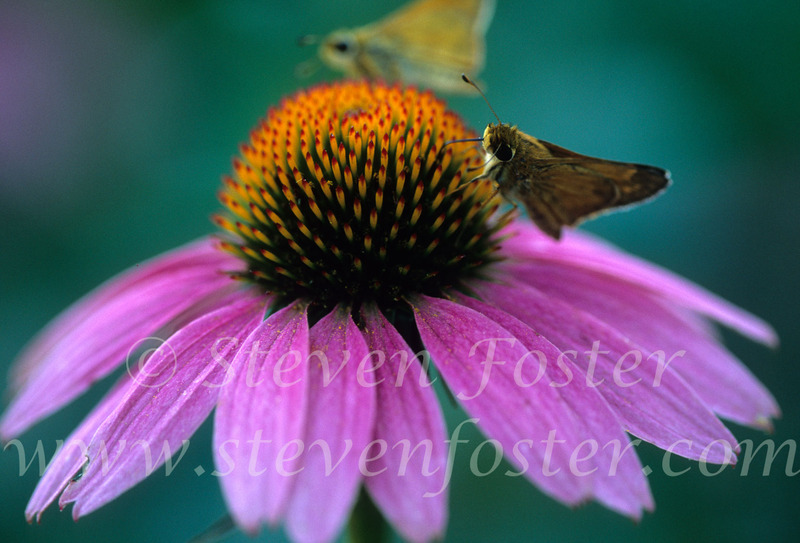 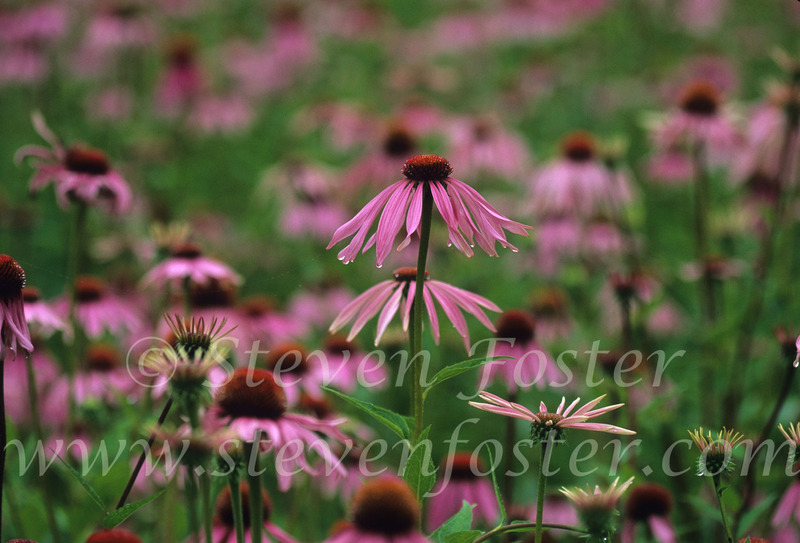 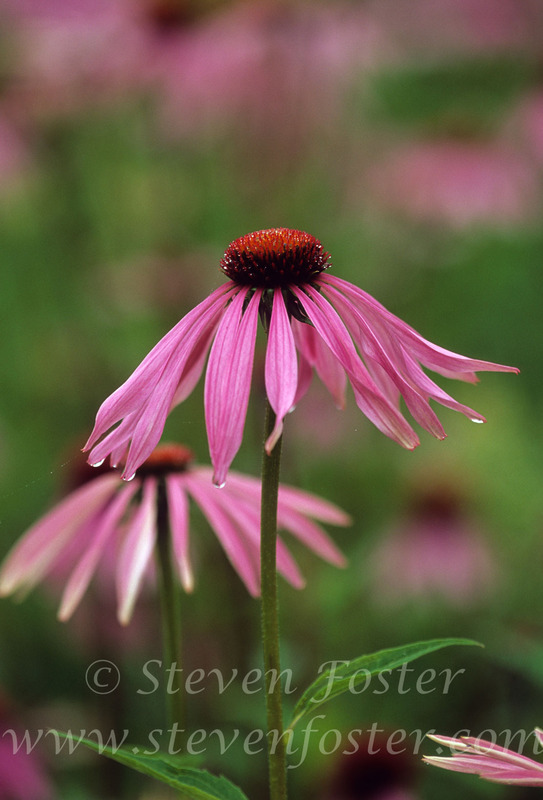 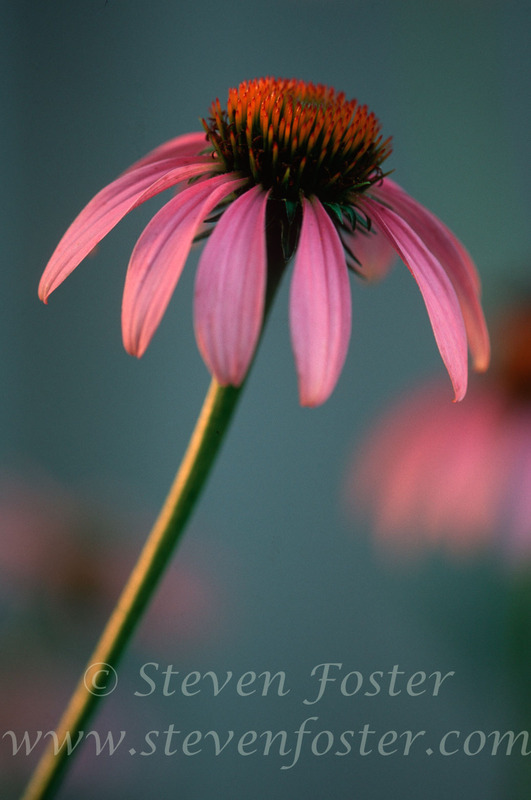 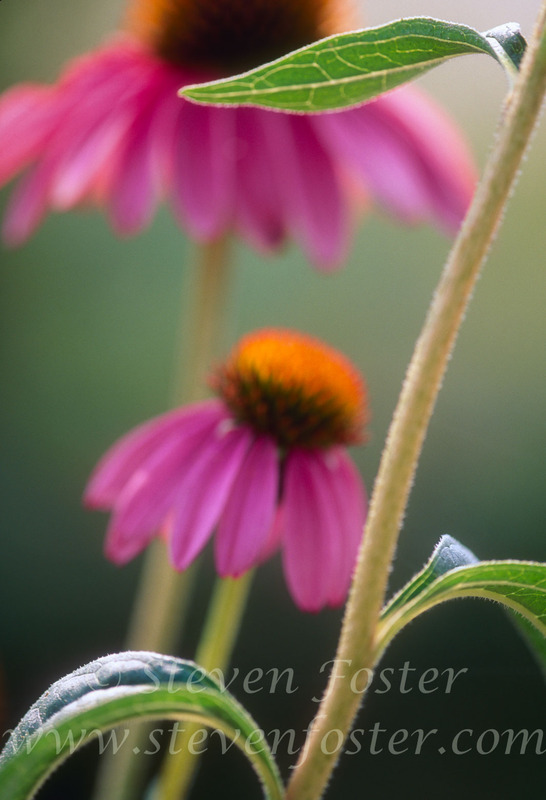 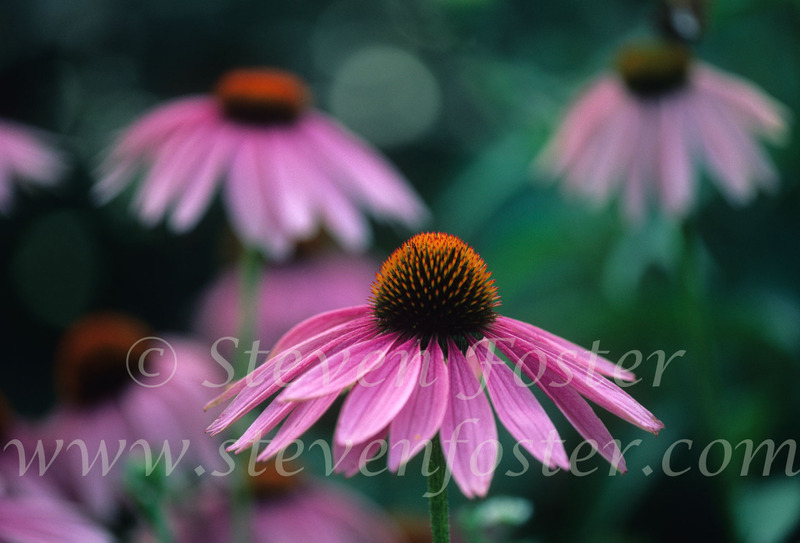 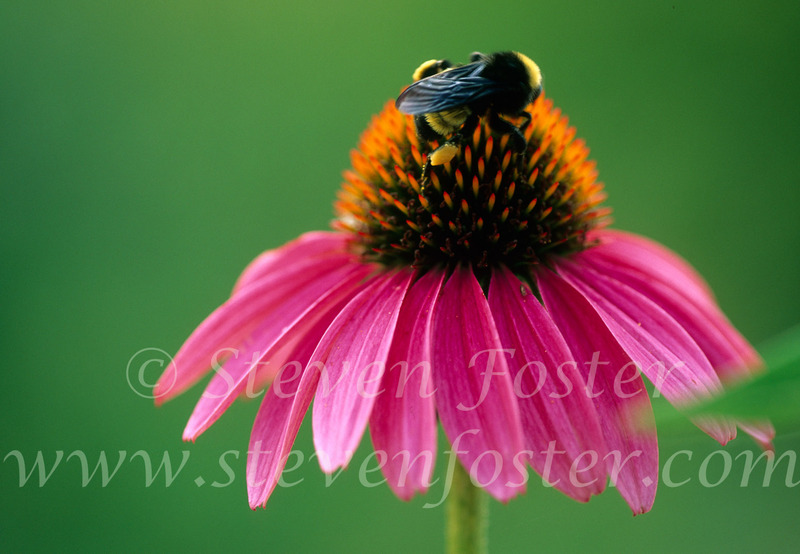 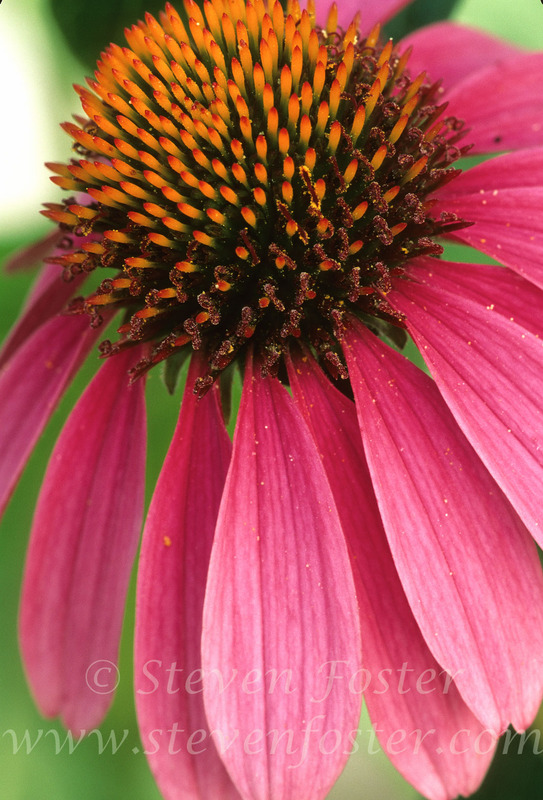 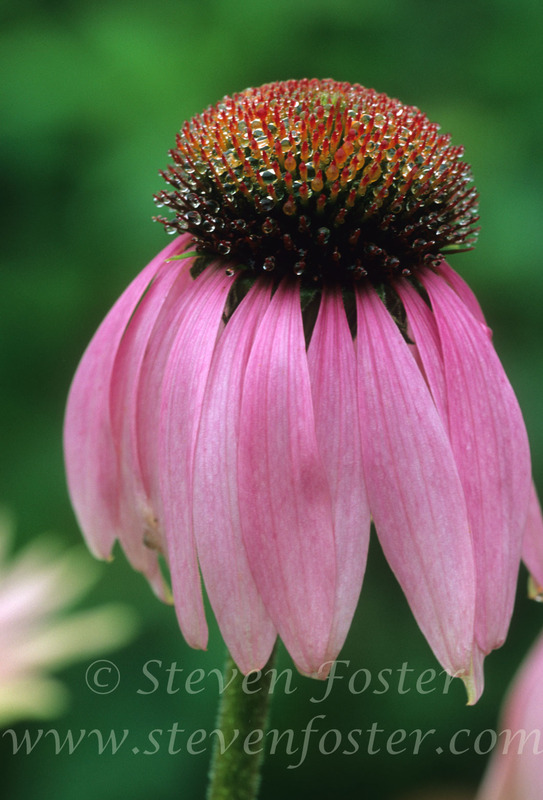 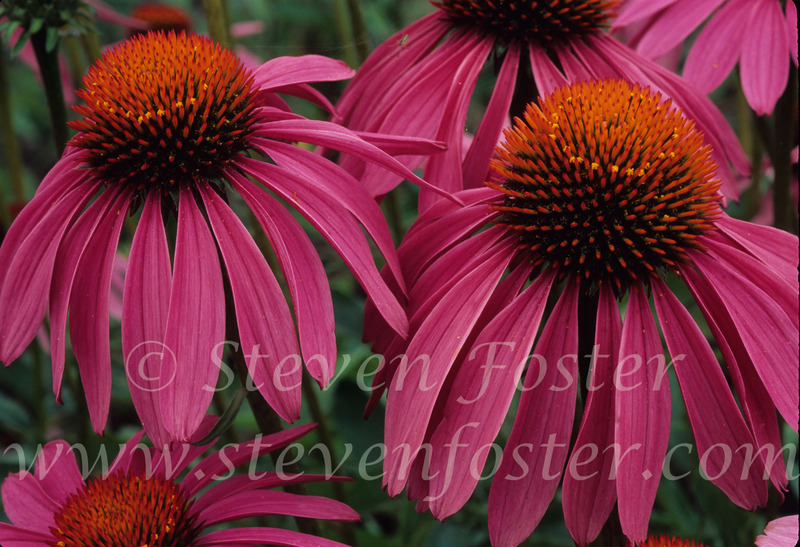 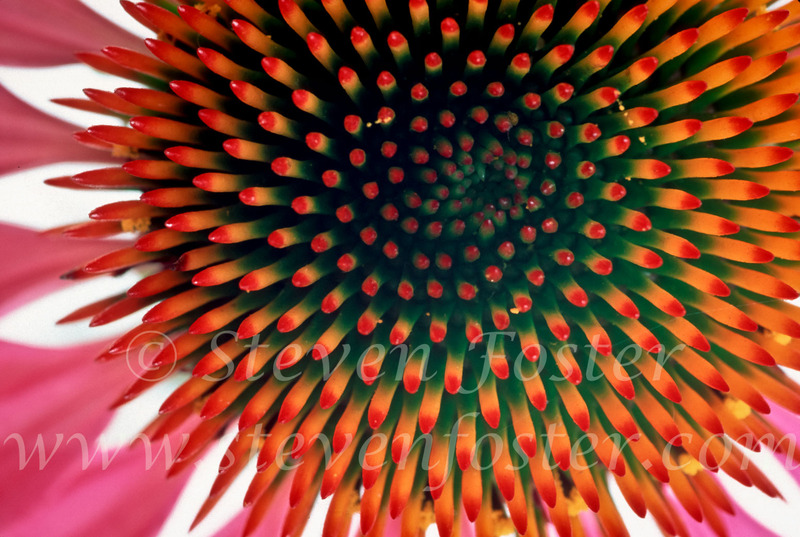 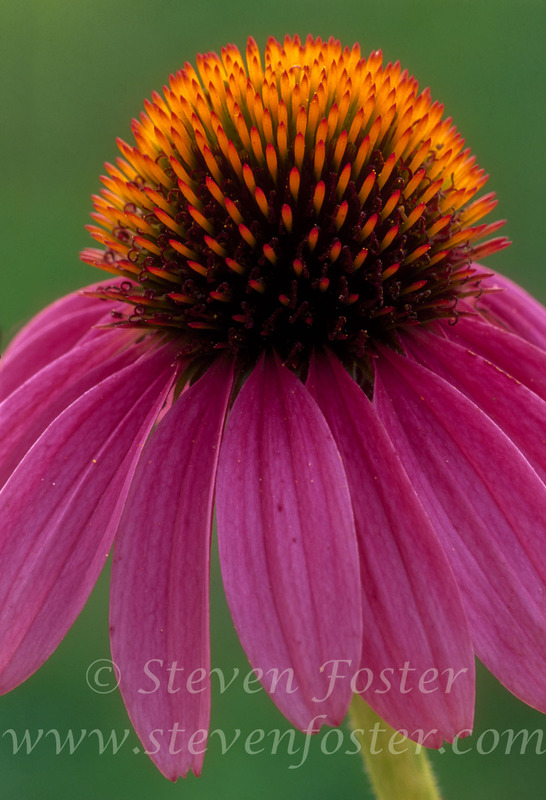 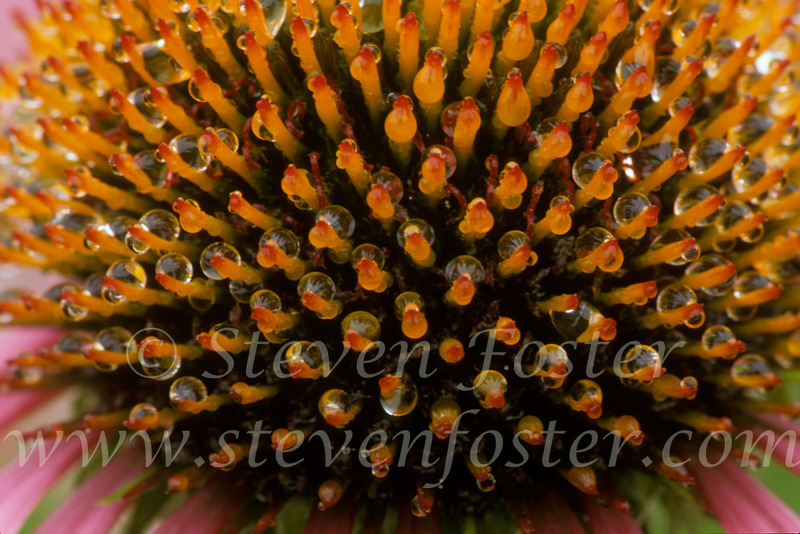 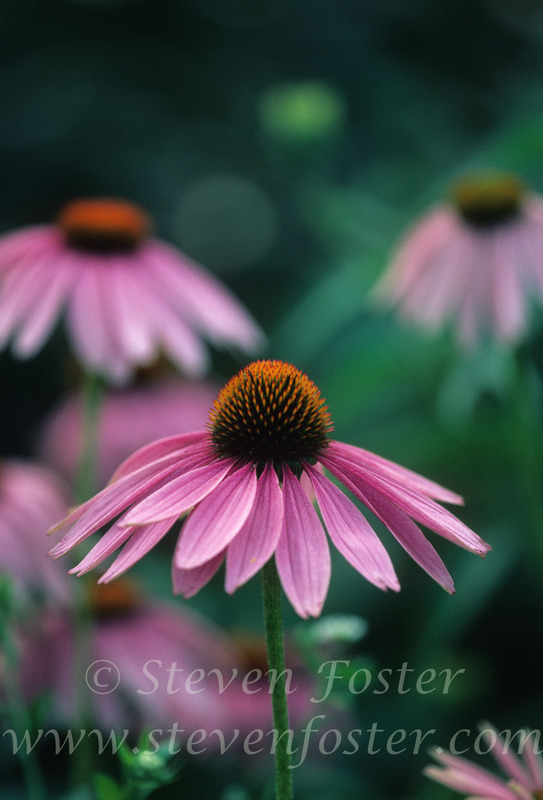 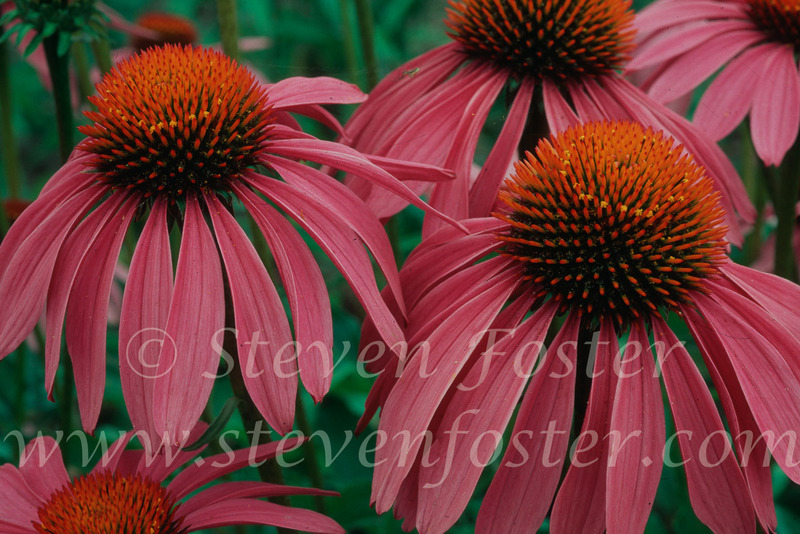 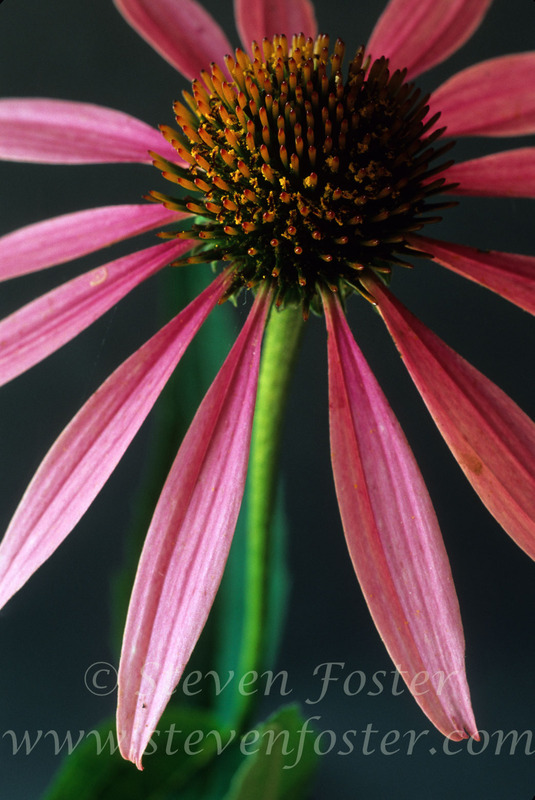 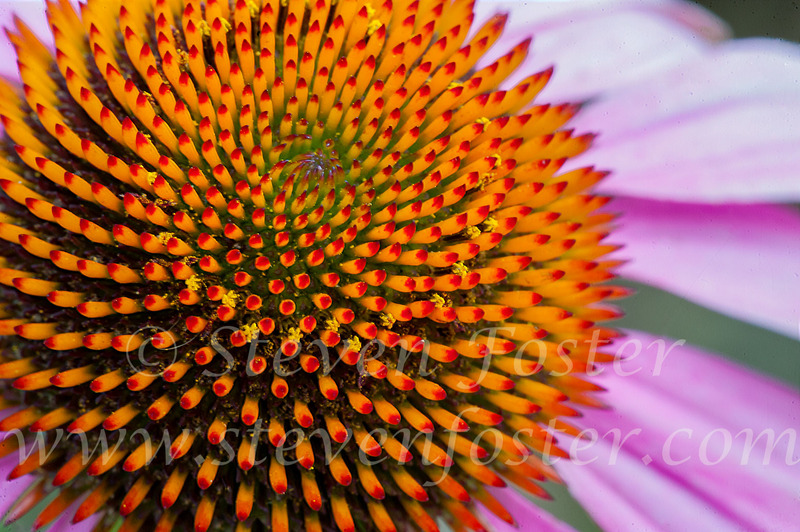 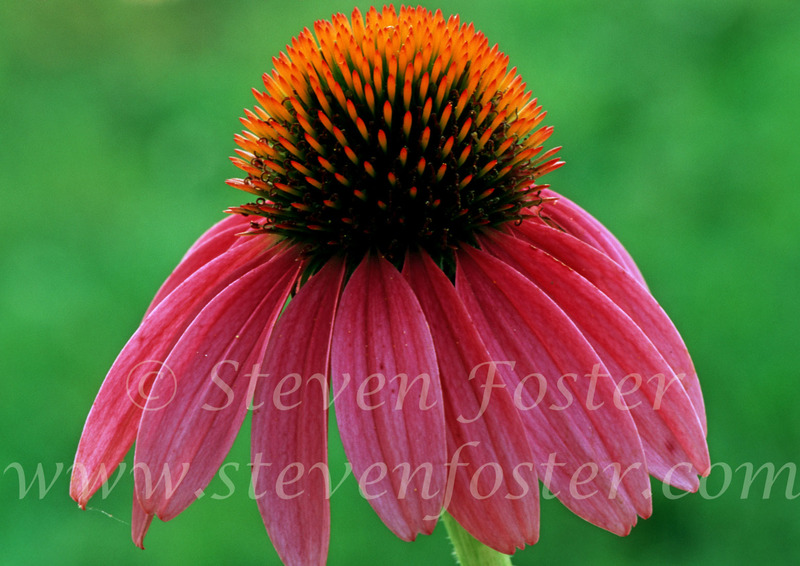 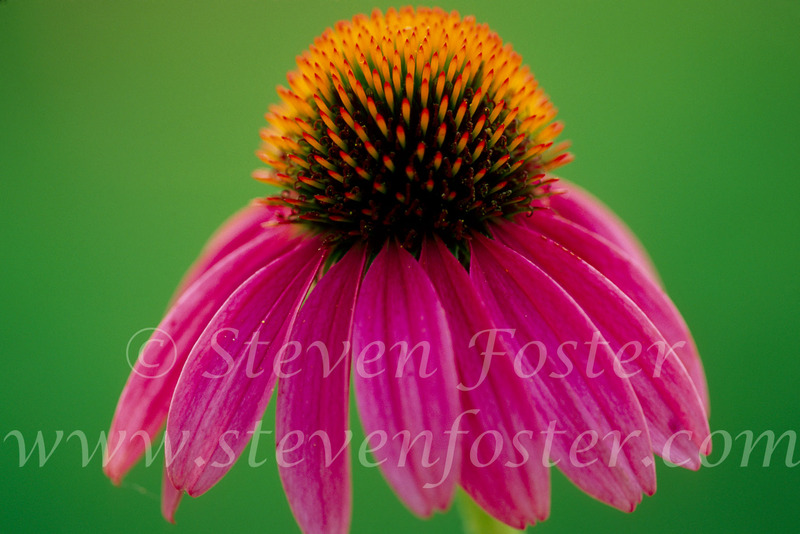 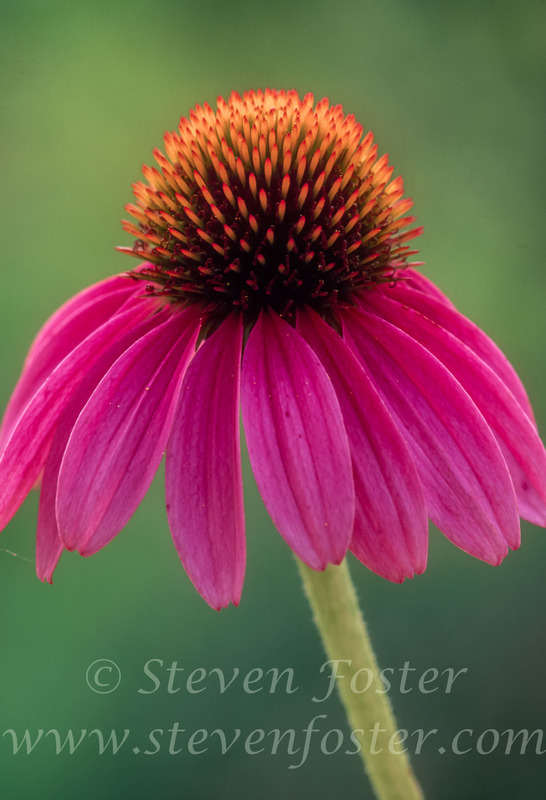 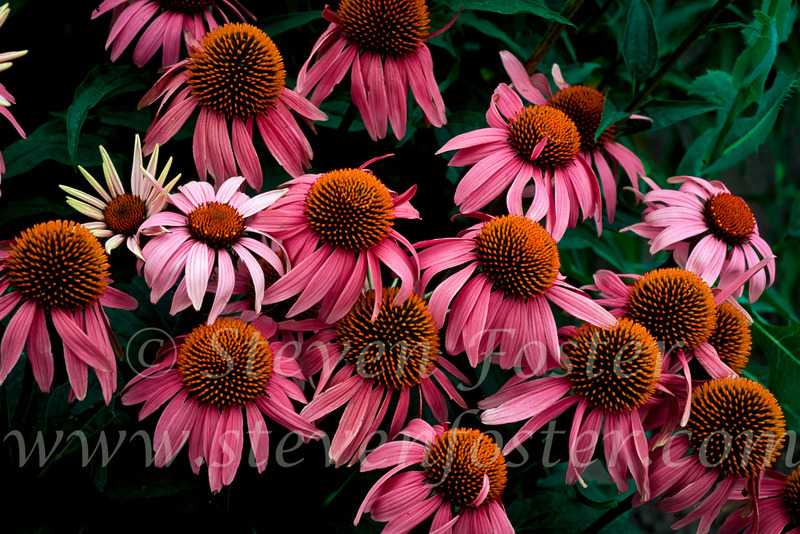 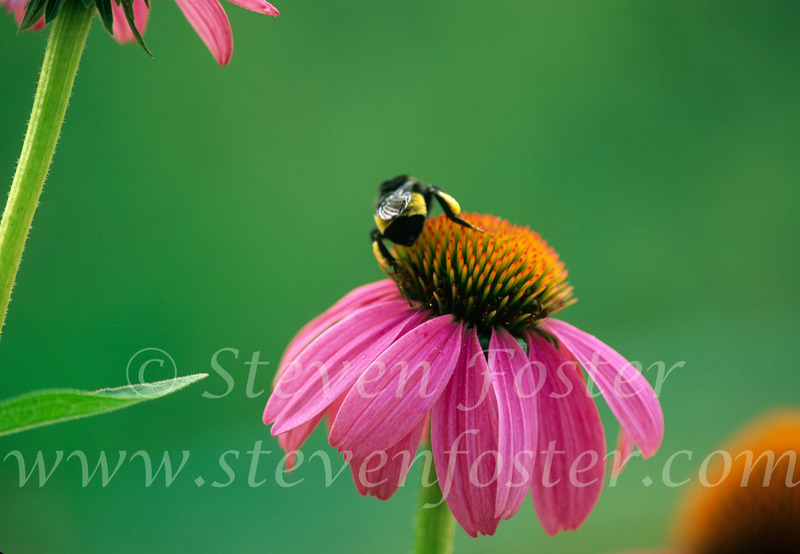 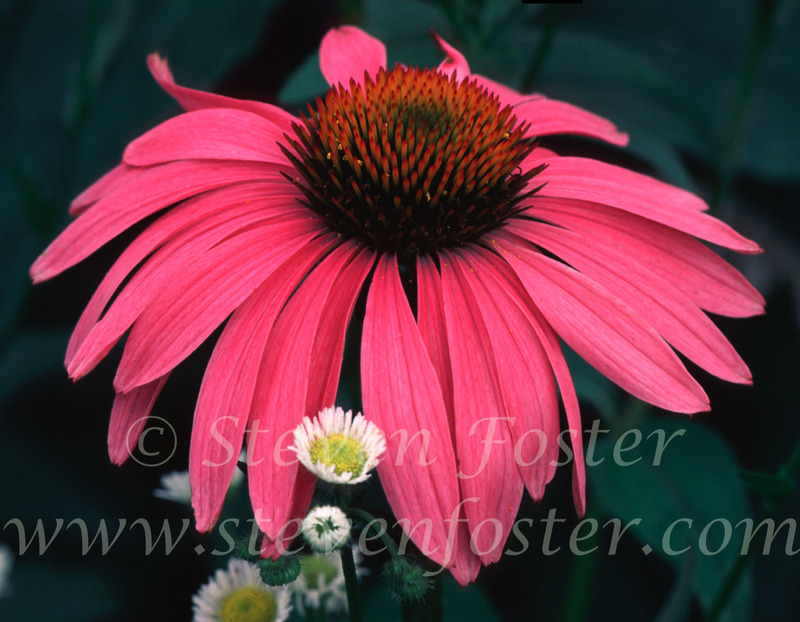 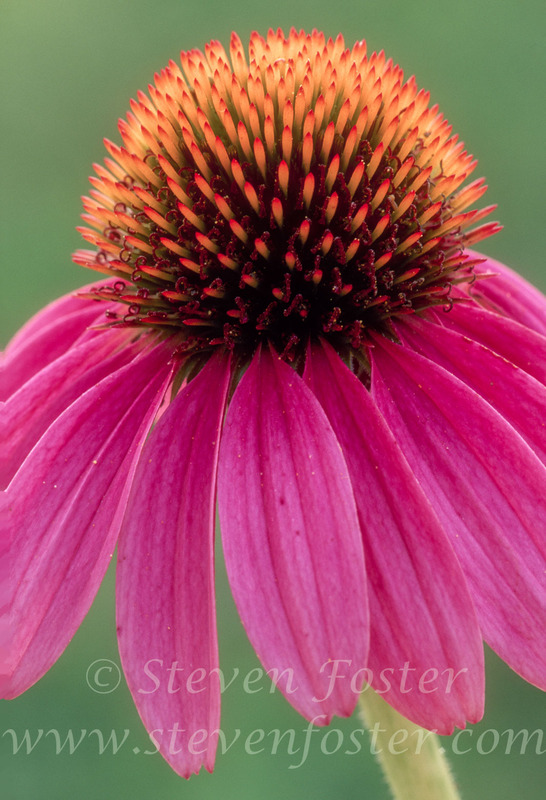 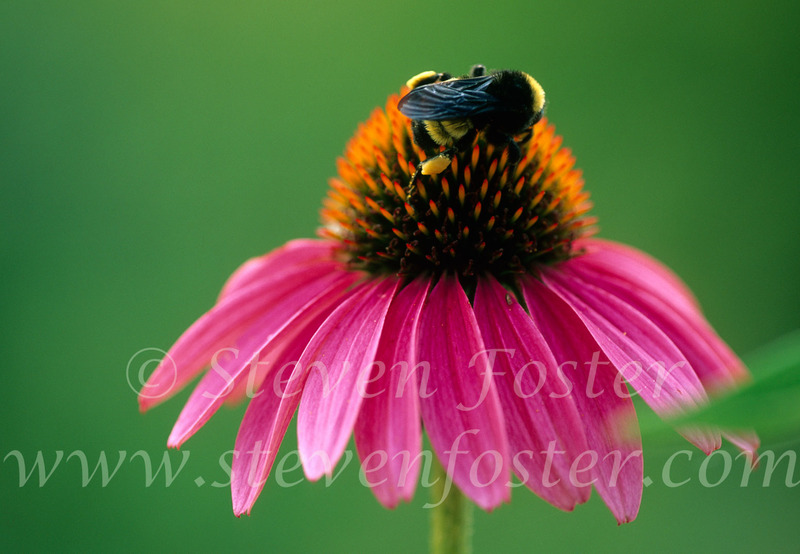 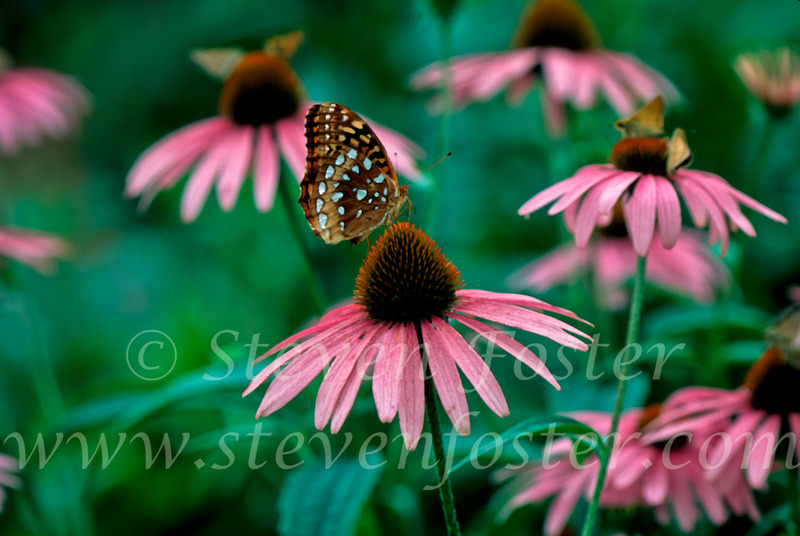 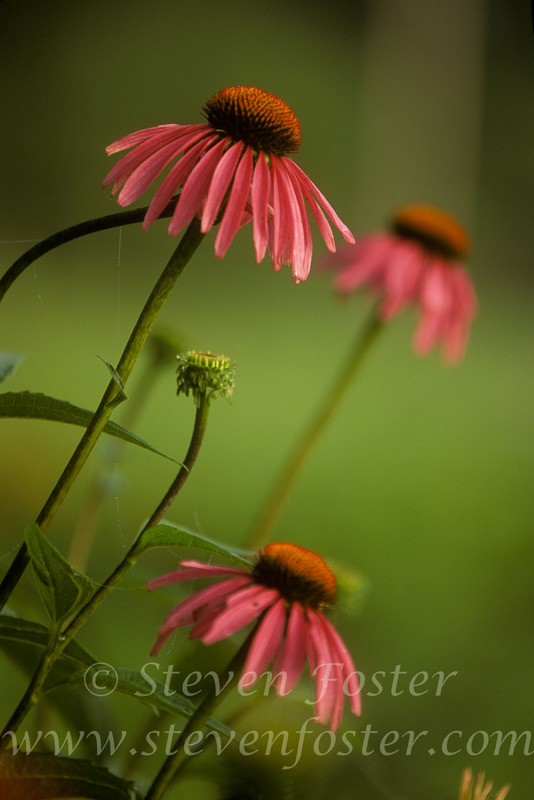 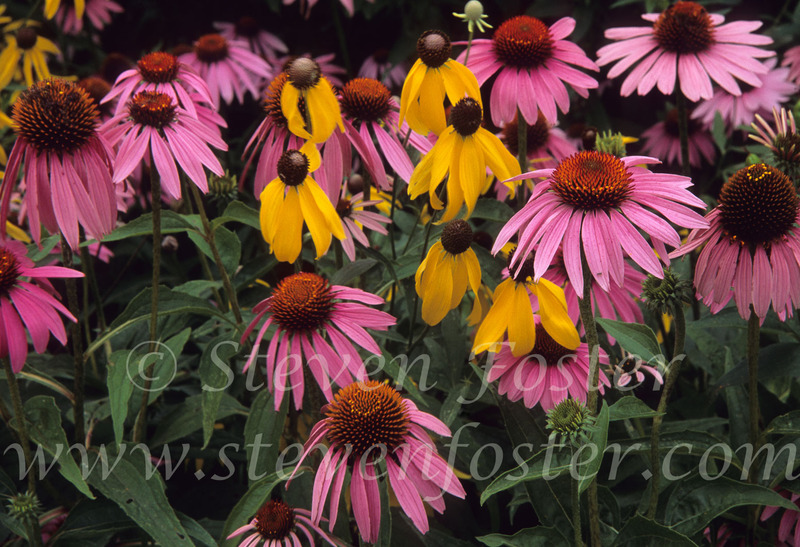 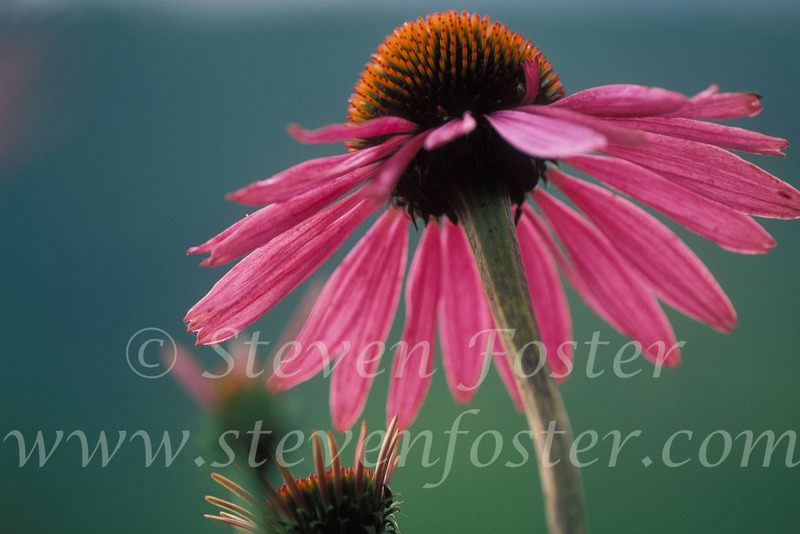 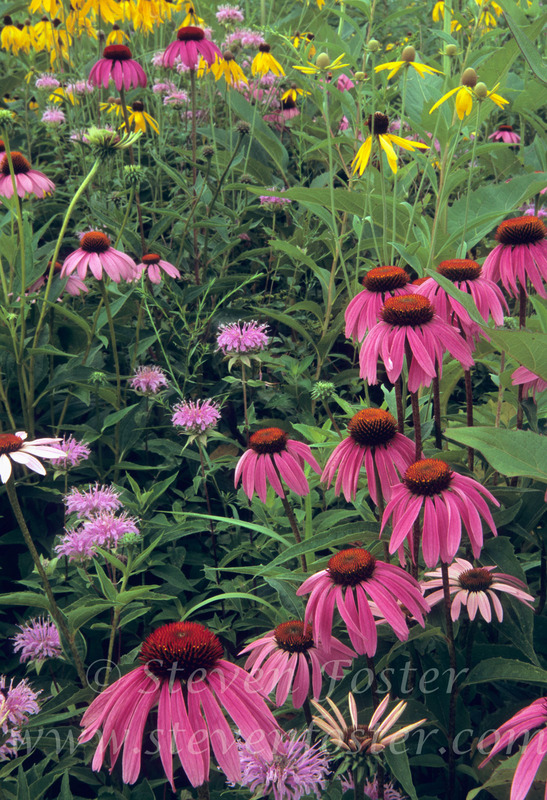 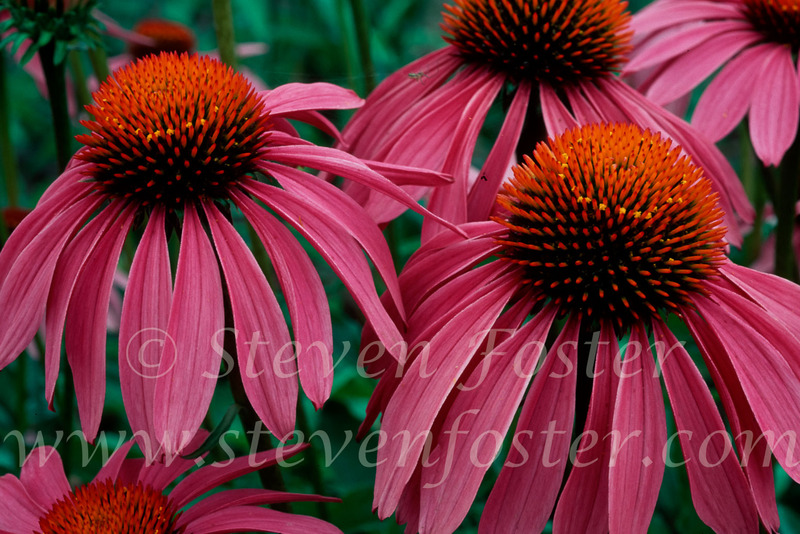 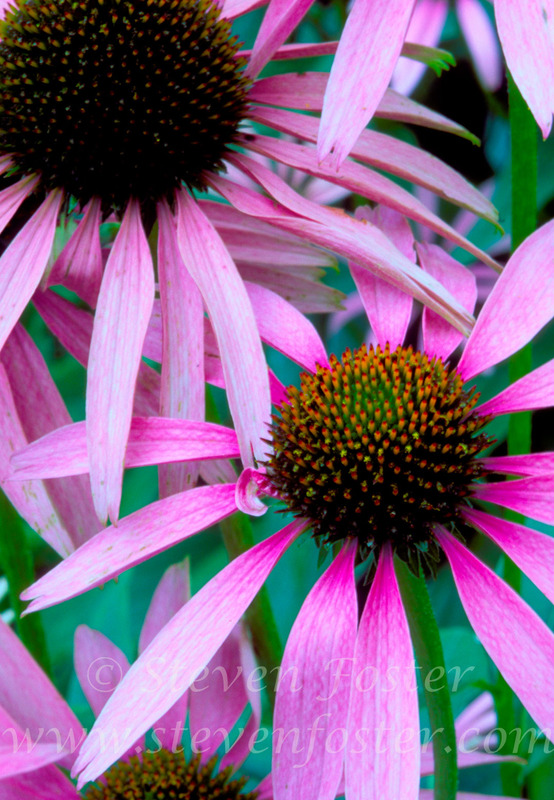 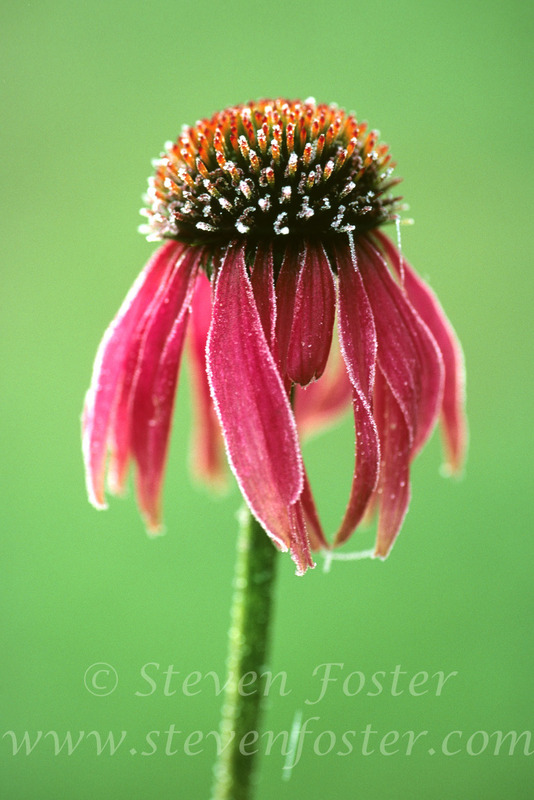 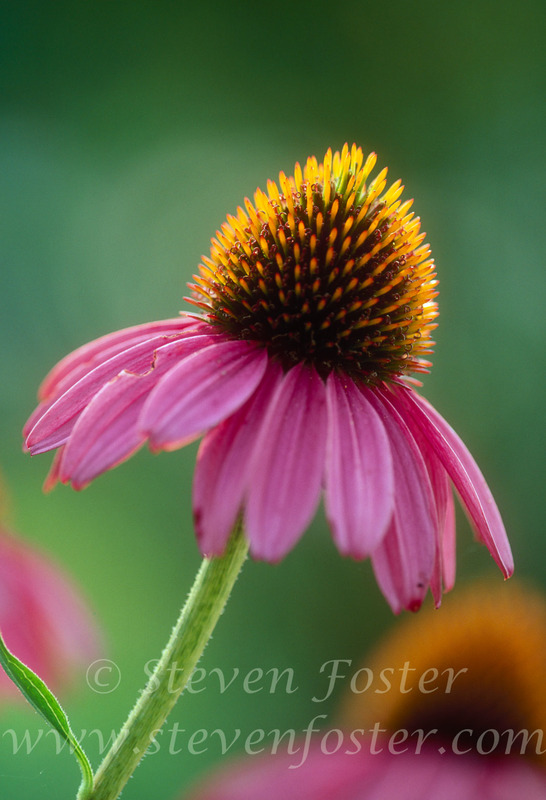 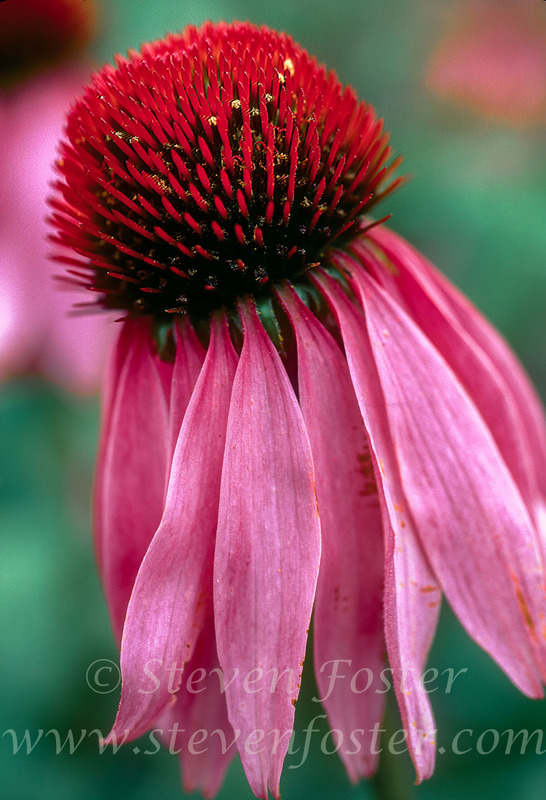 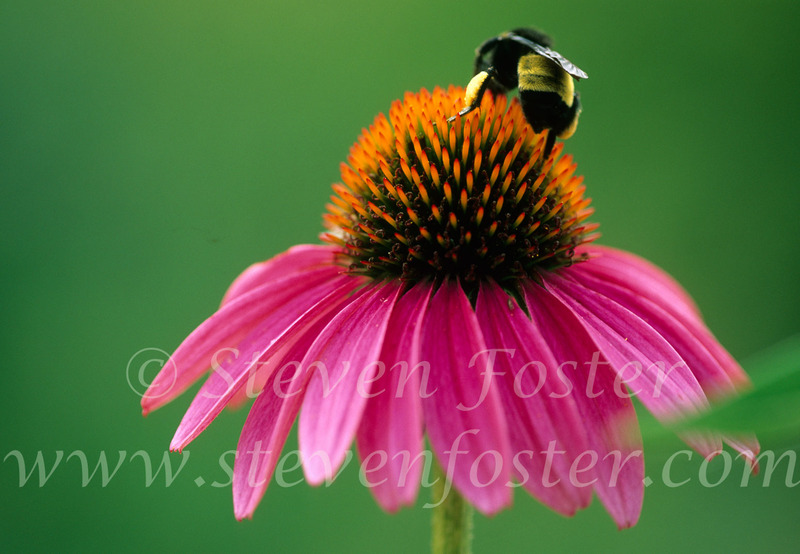 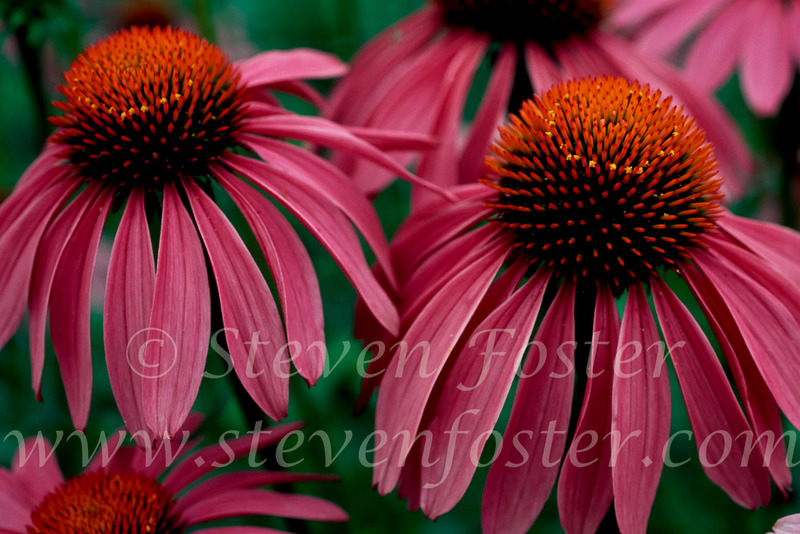 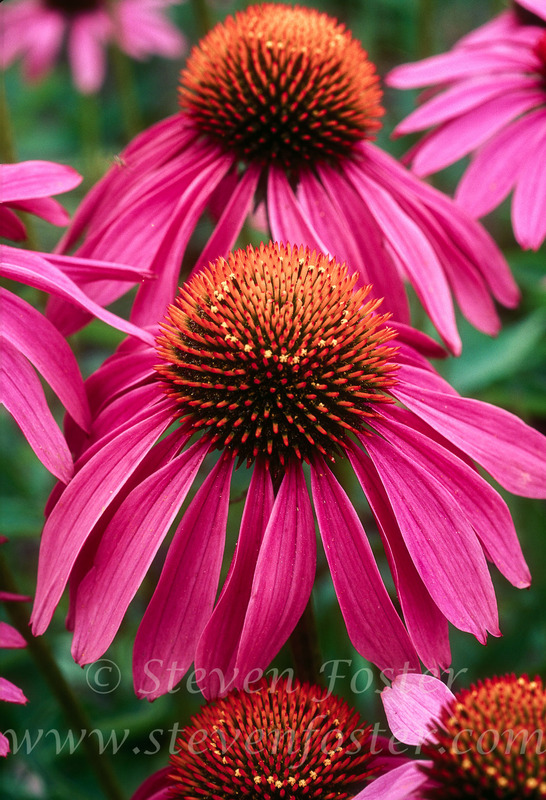 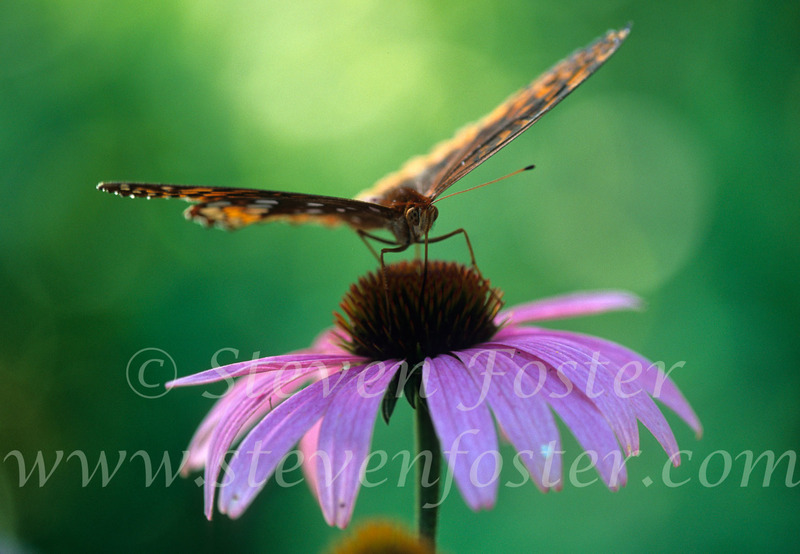 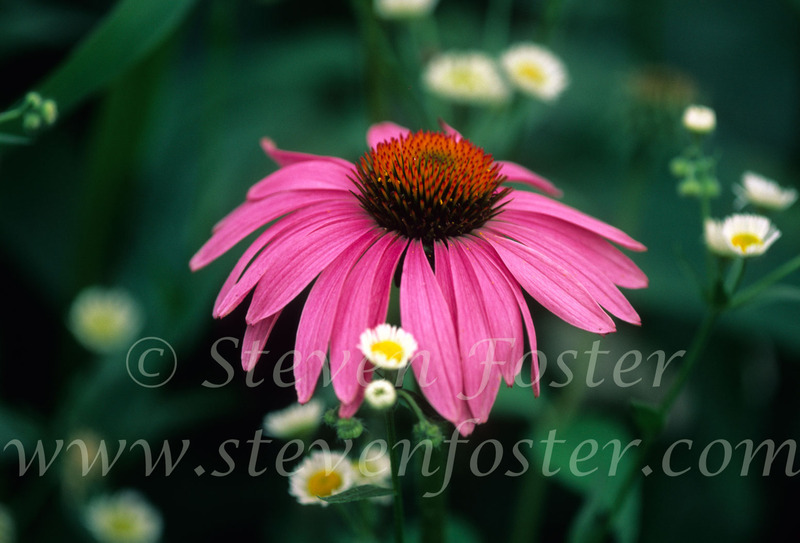 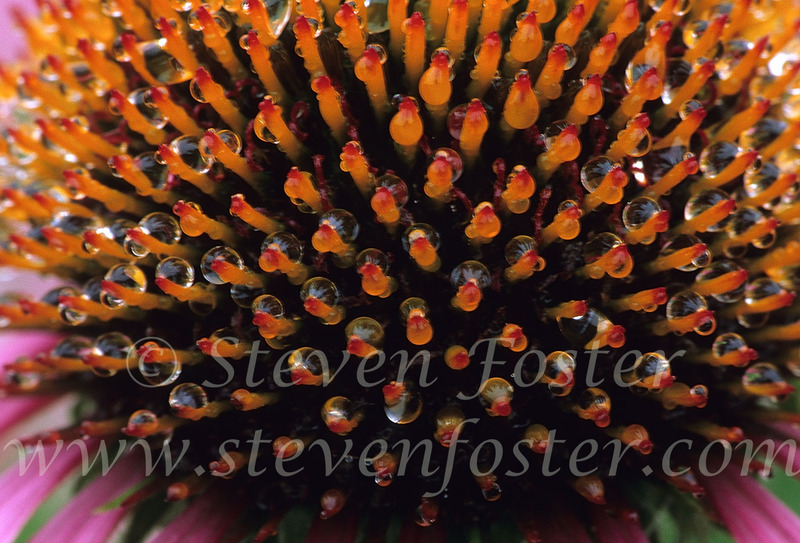 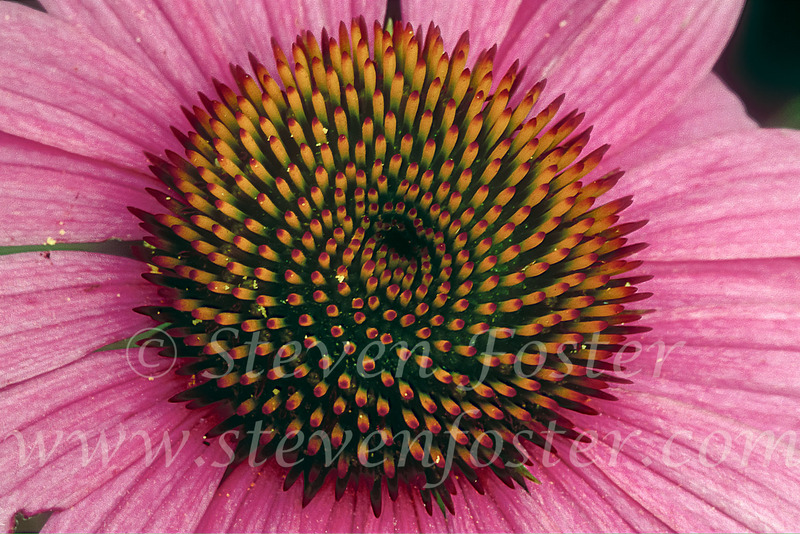 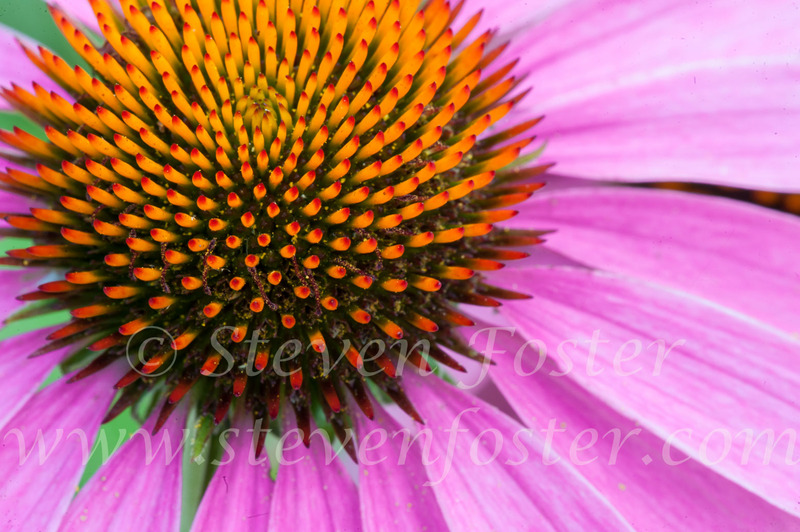 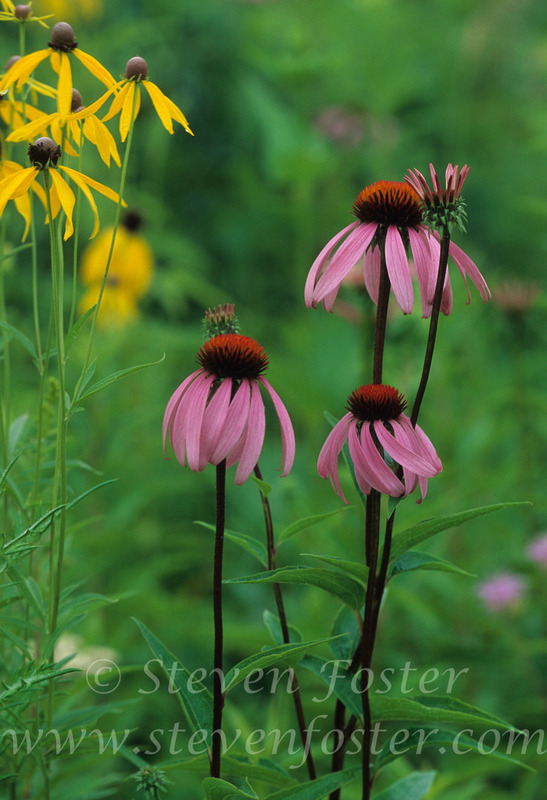 Echinacea purpurea, echinacea, purple coneflower . 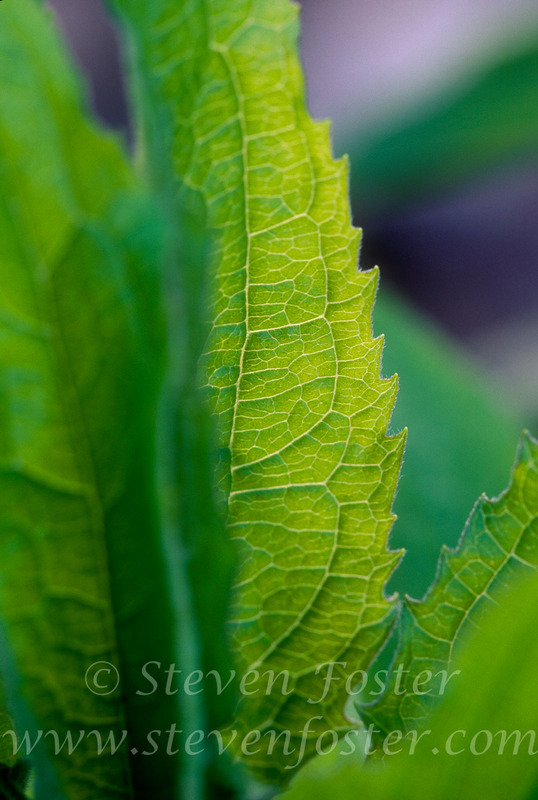 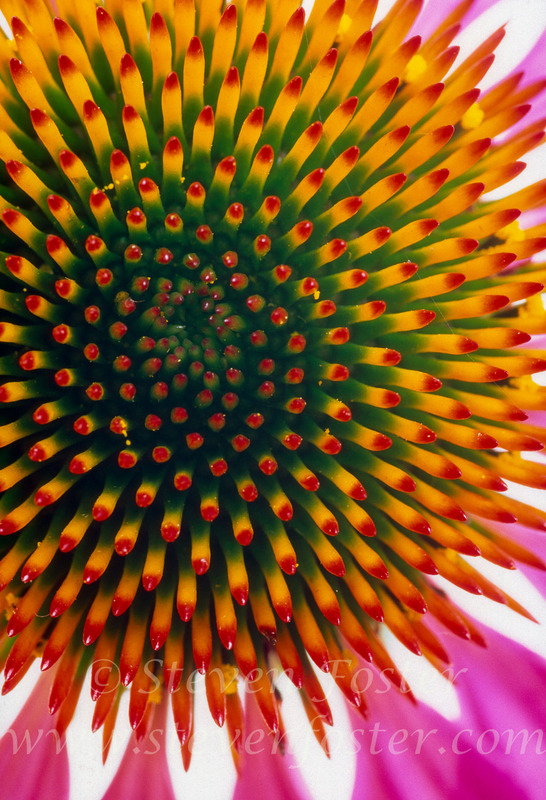 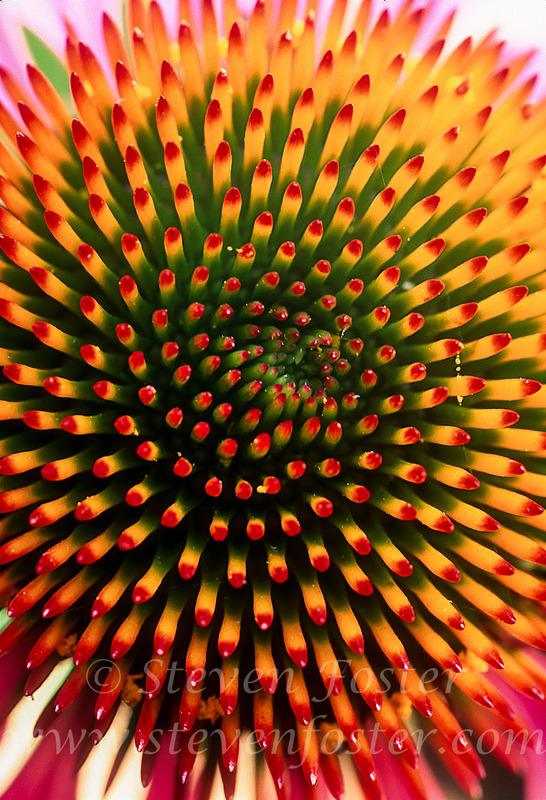 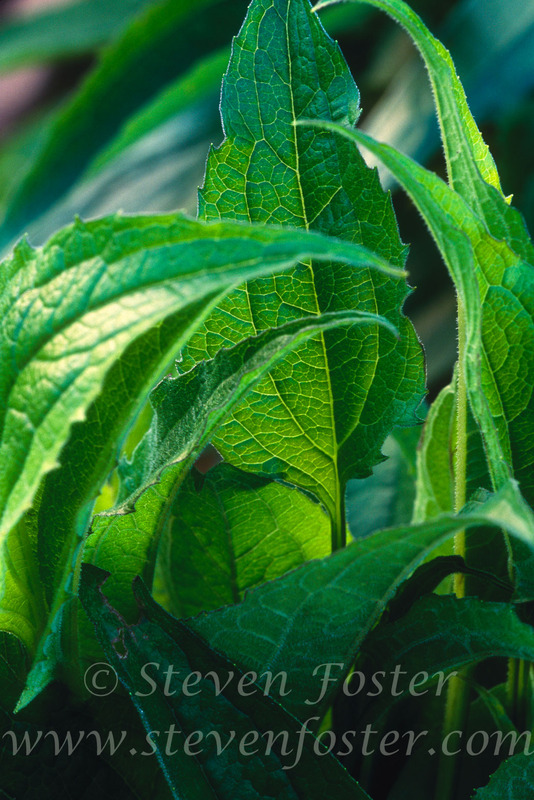 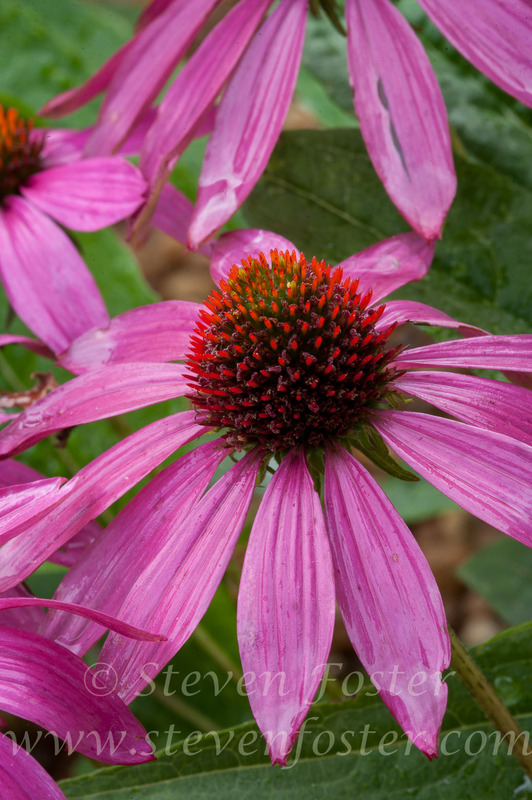 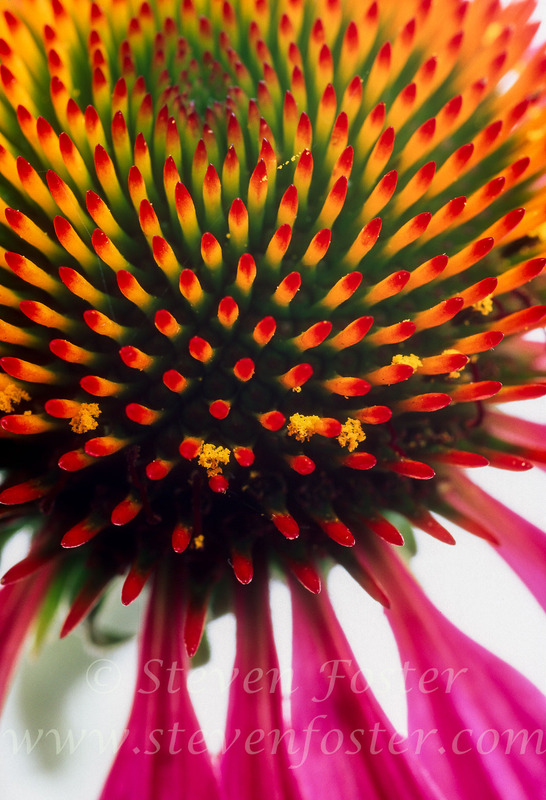 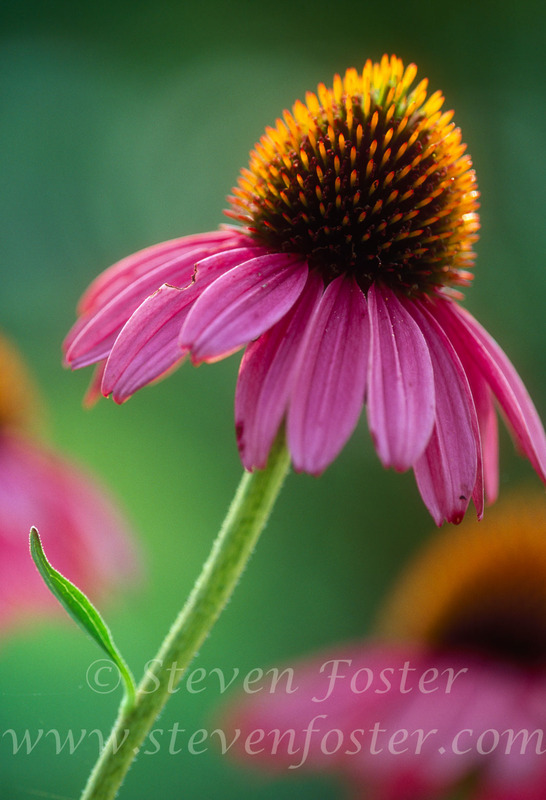 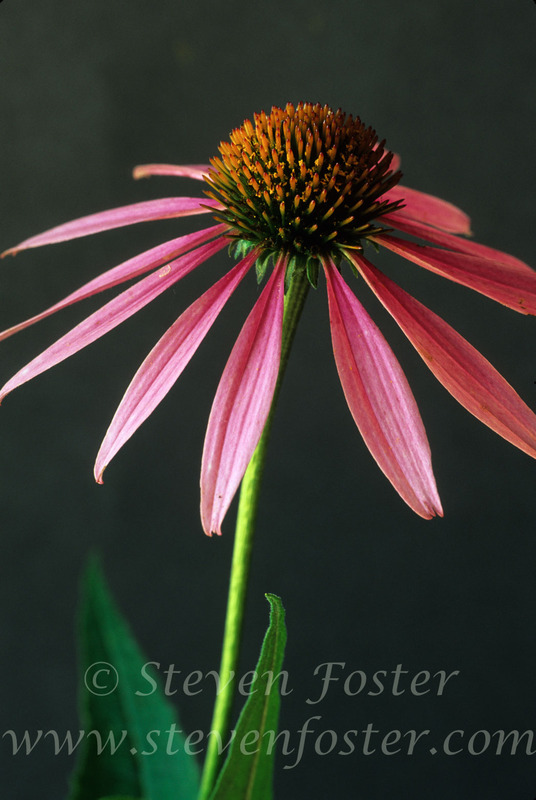 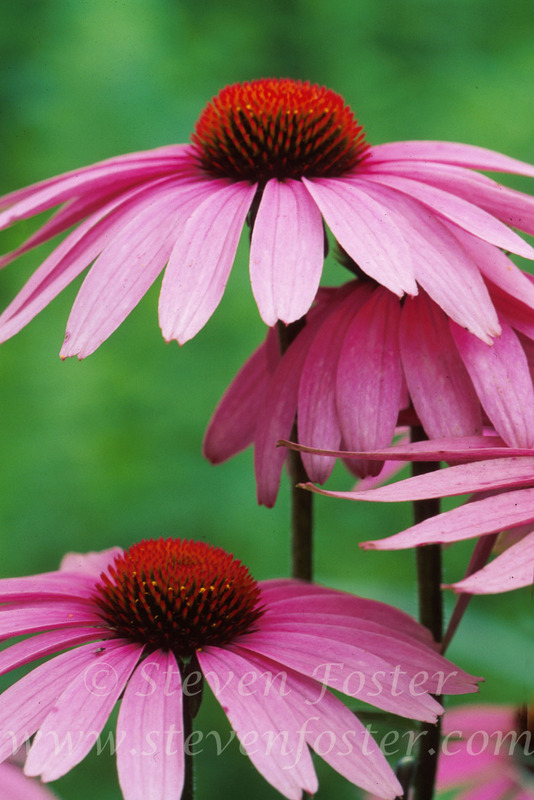 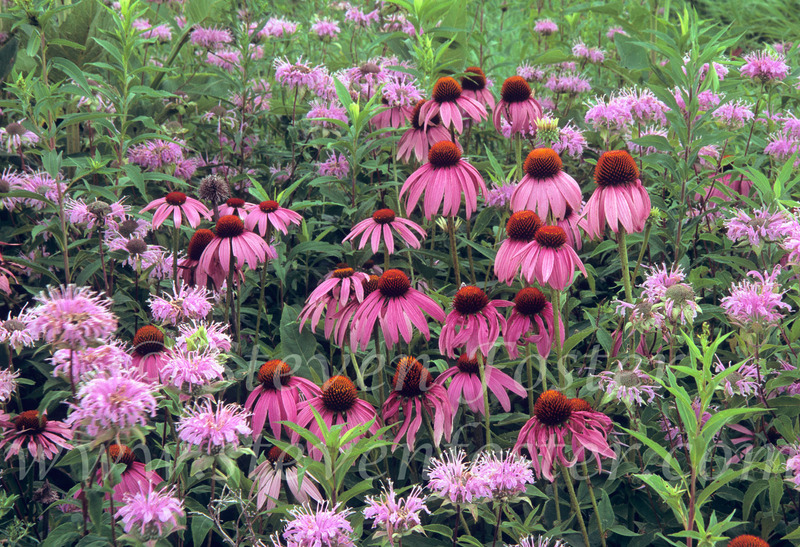 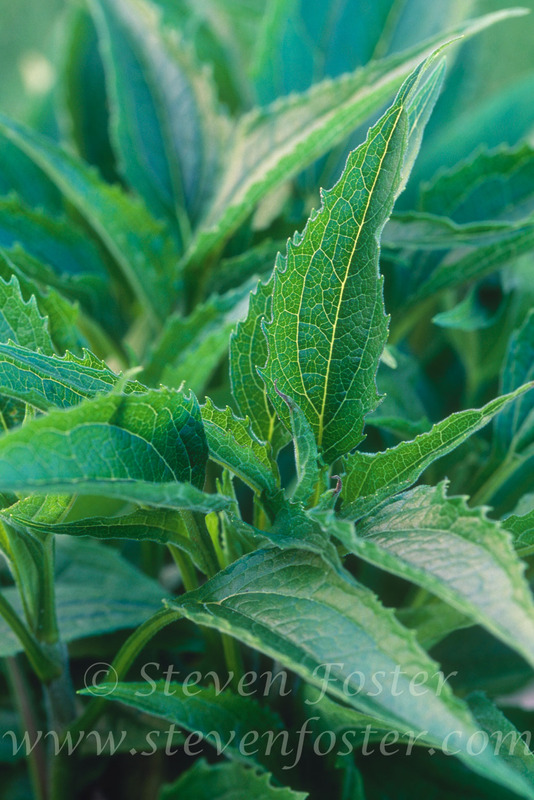 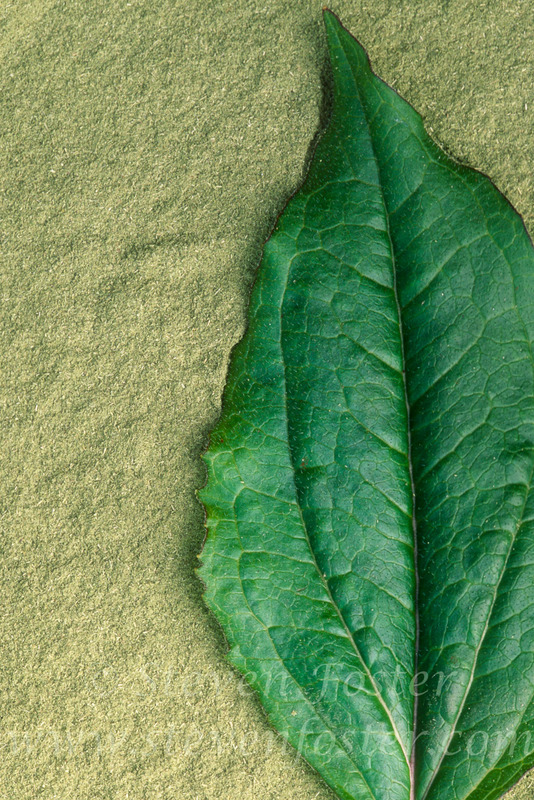 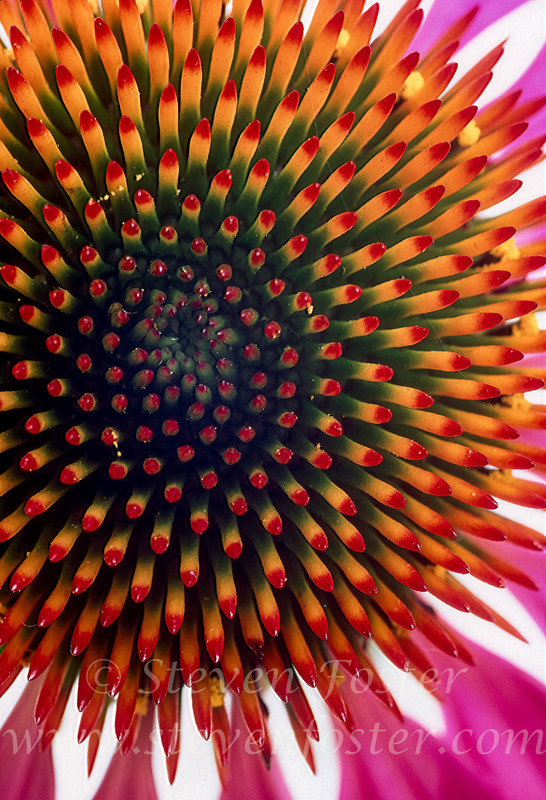 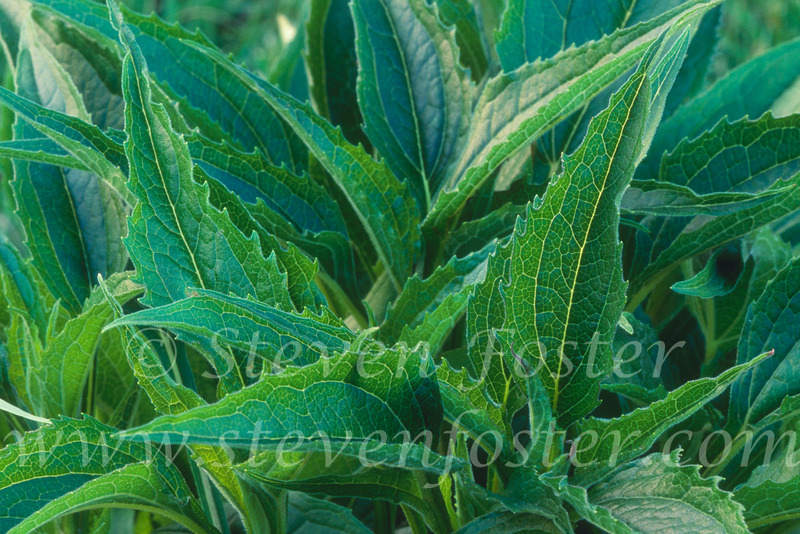 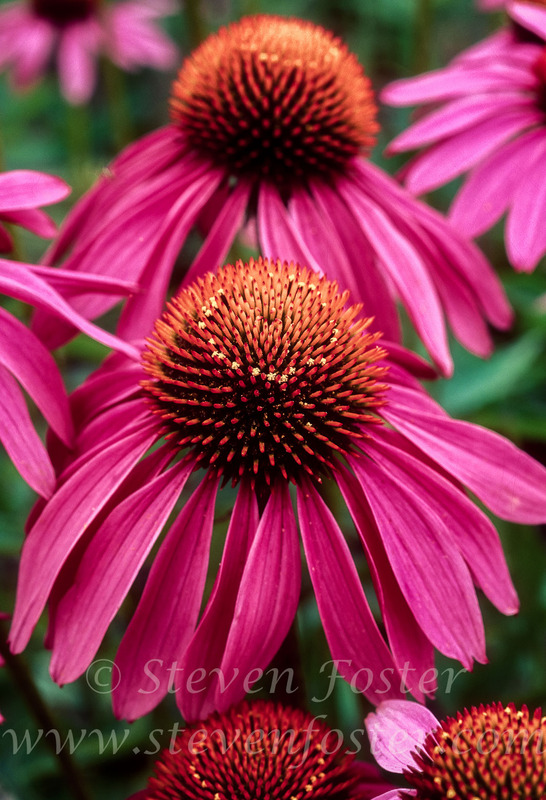 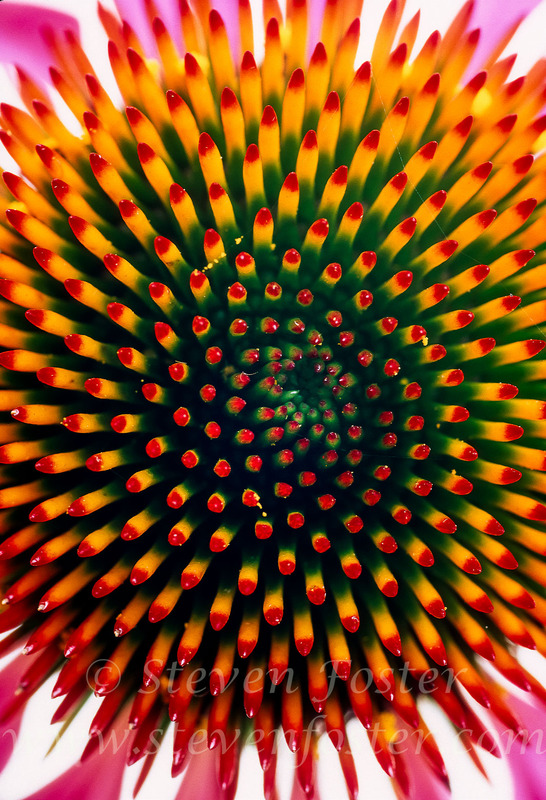 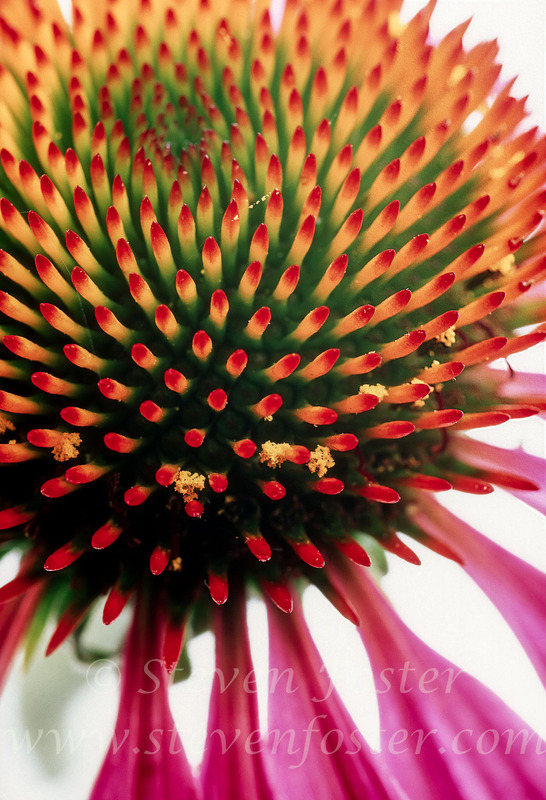 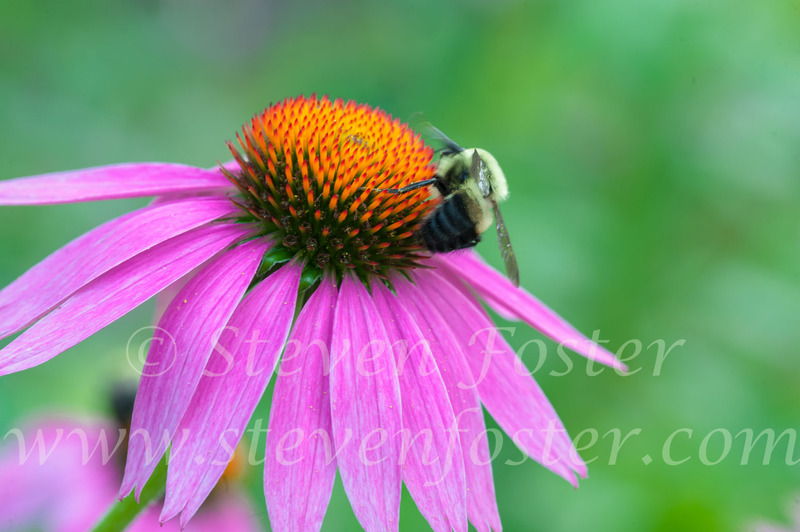 Echinacea purpurea, developed as a medicinal plant product in the late 1930s in Germany is considered a nonspecific immune system stimulant used for wounds, herpes sores, canker sores, throat infections; preventative for influenza, colds. 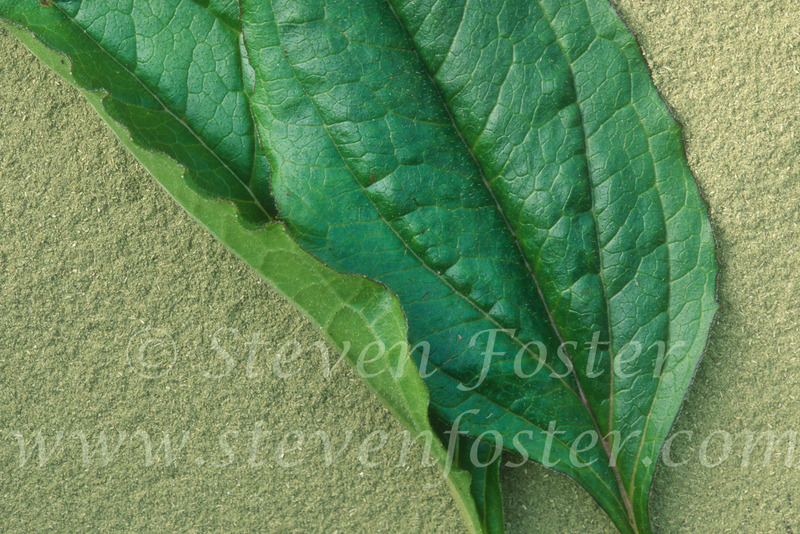 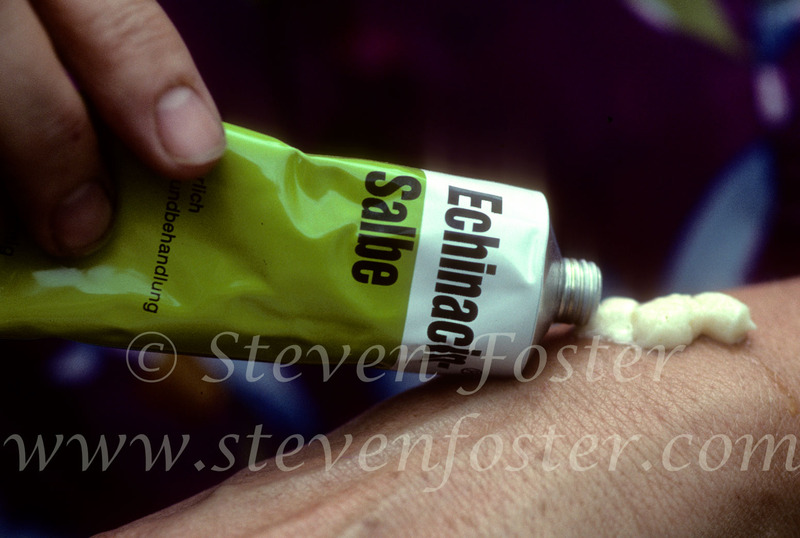 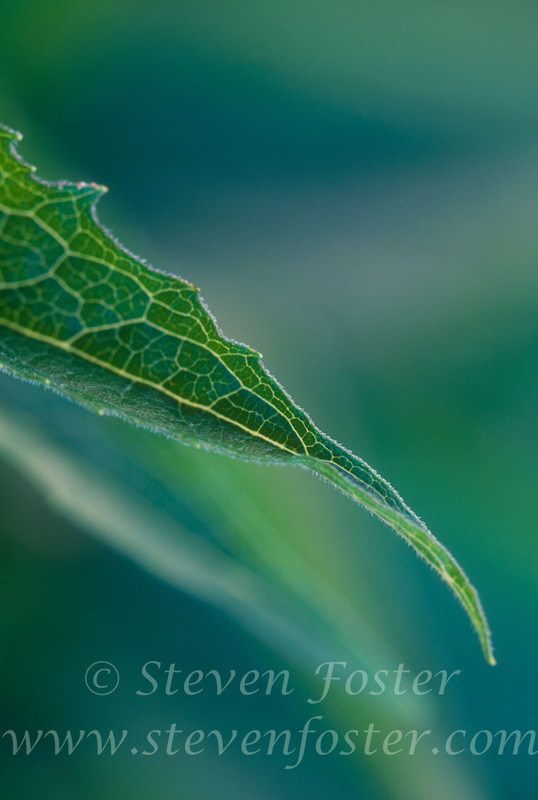 A folk remedy for brown recluse spider bites. 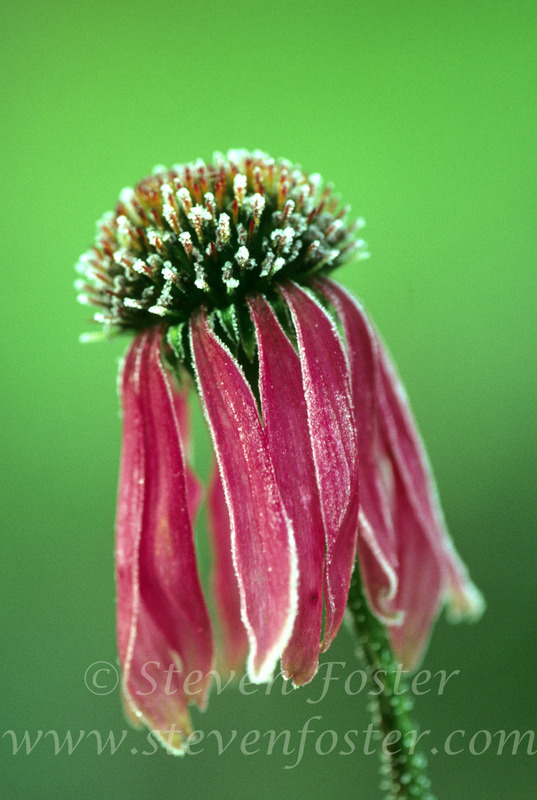 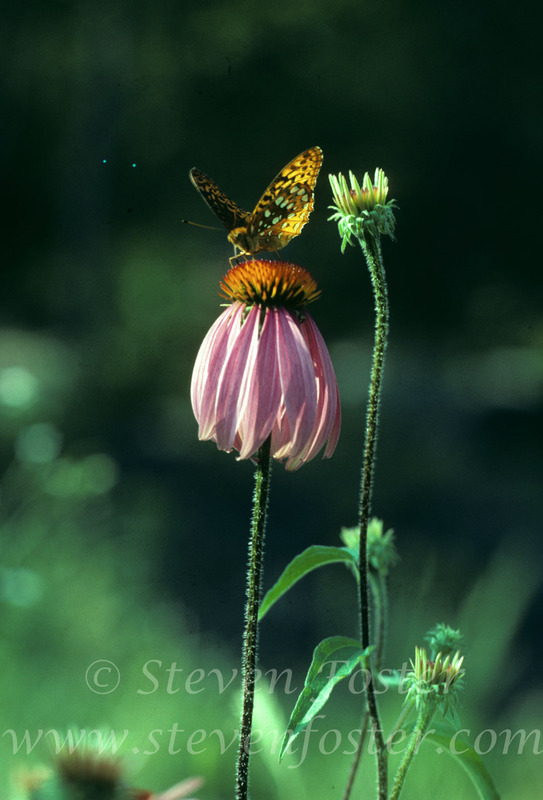 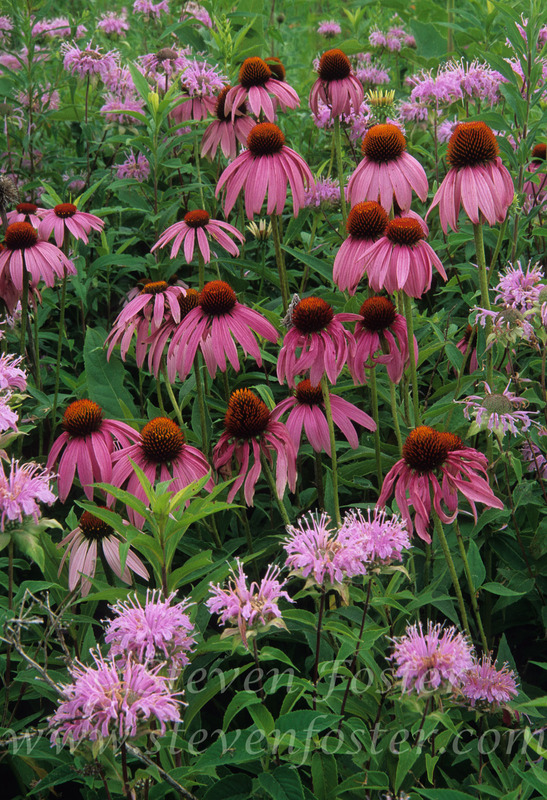 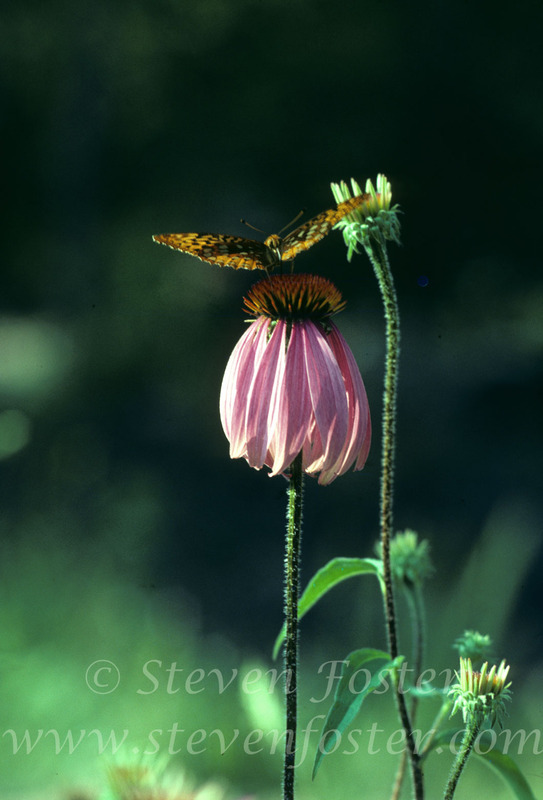 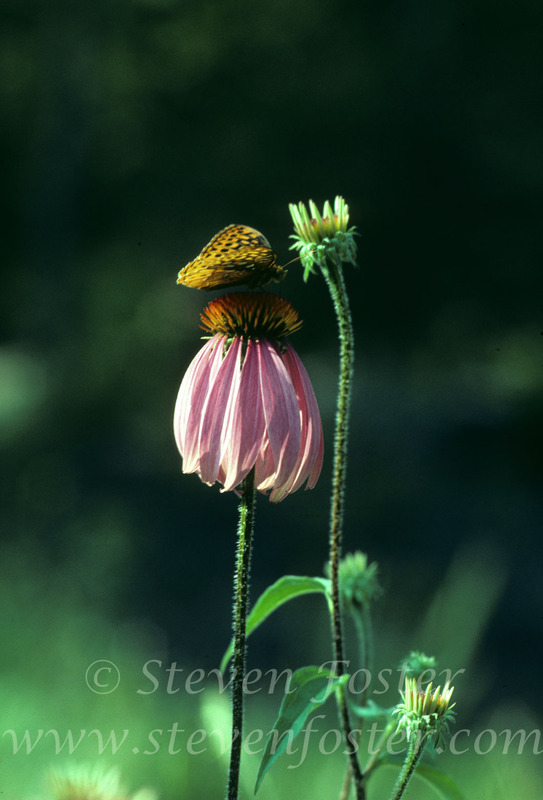 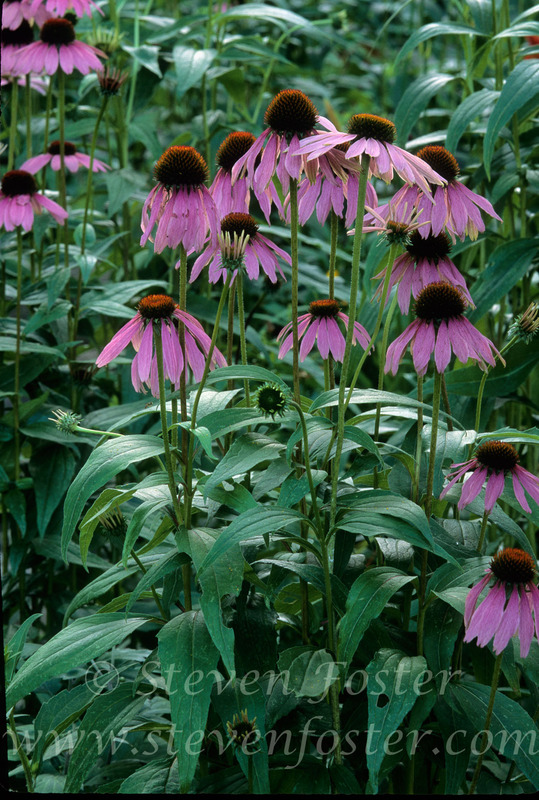 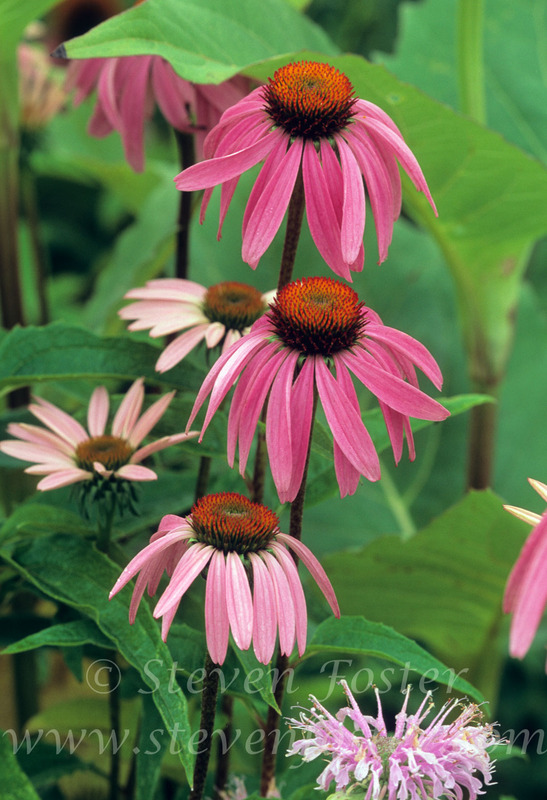 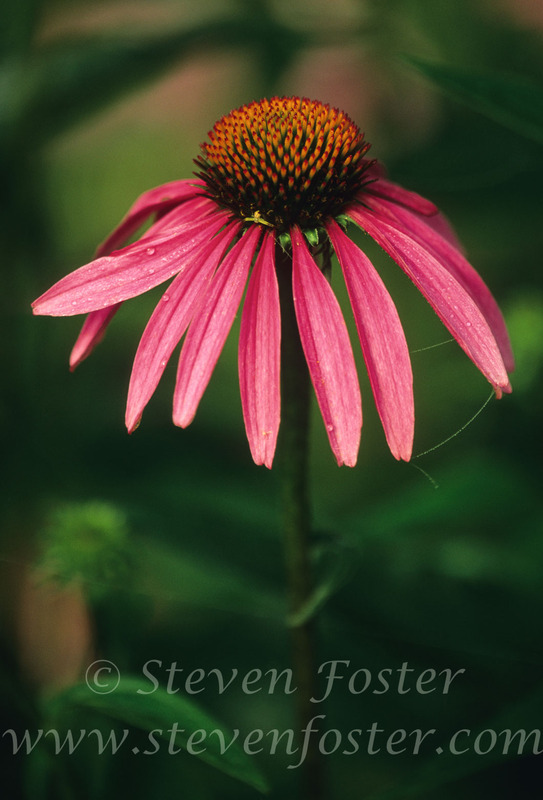 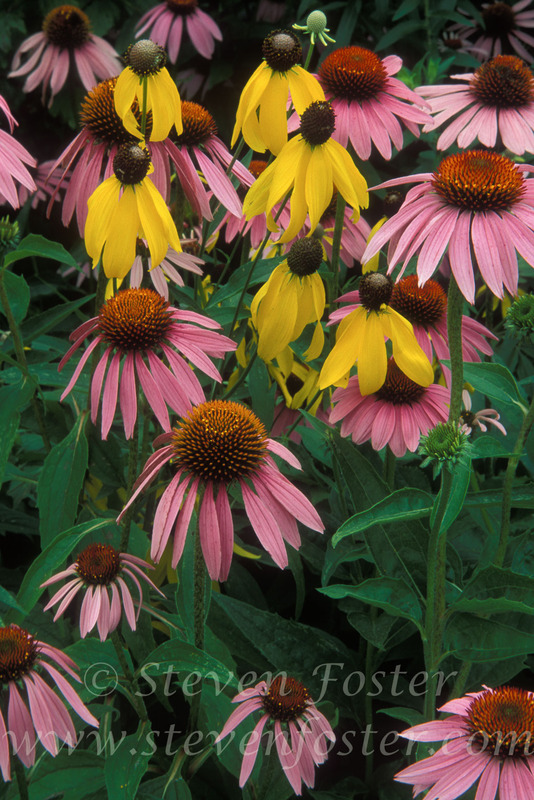 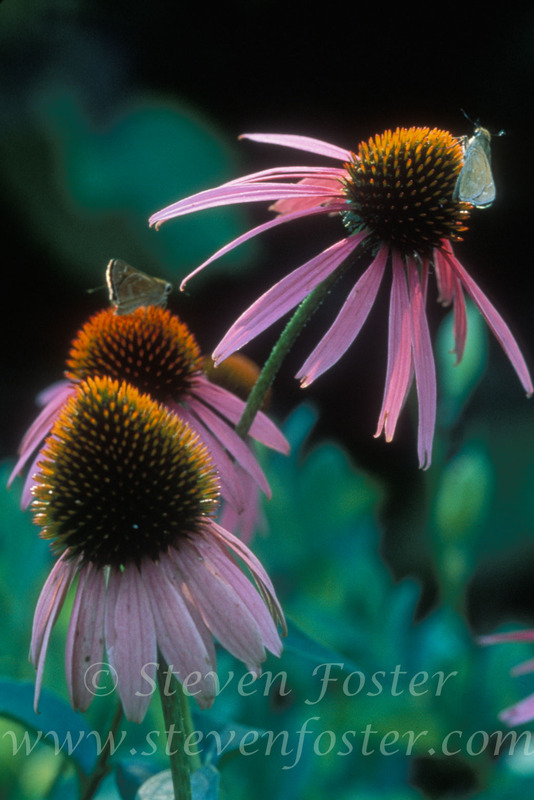 Native to open woods and thickets in eastern North America to the Midwest, Echinacea is also widely cultivated as a garden perennial. 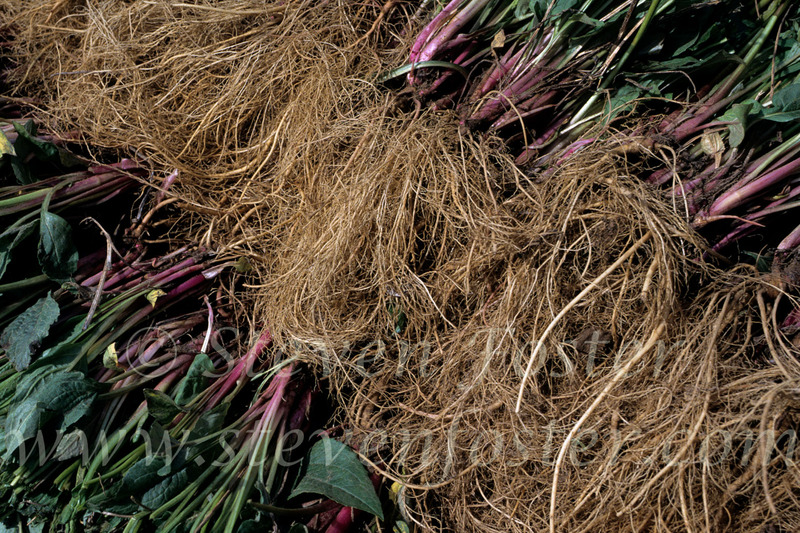 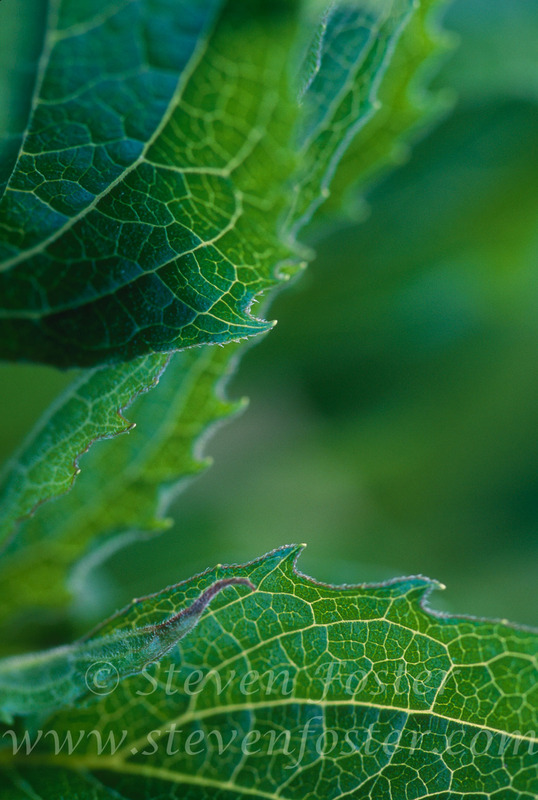 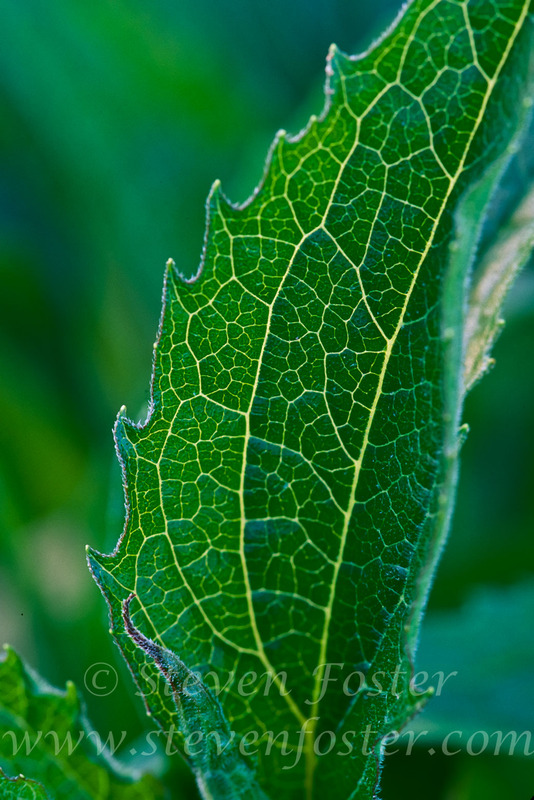 The entire world's commercial supply of E. purpurea is cultivated.